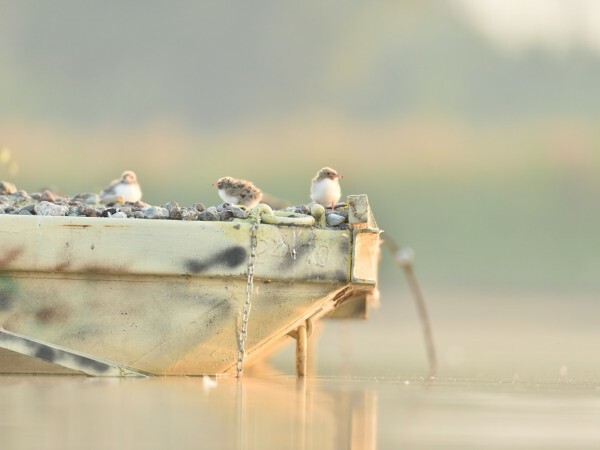 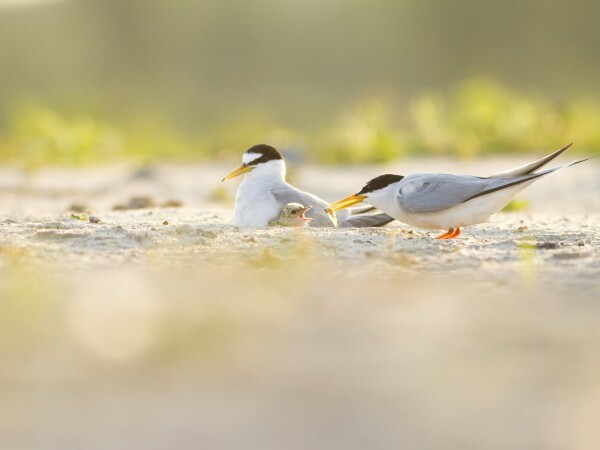 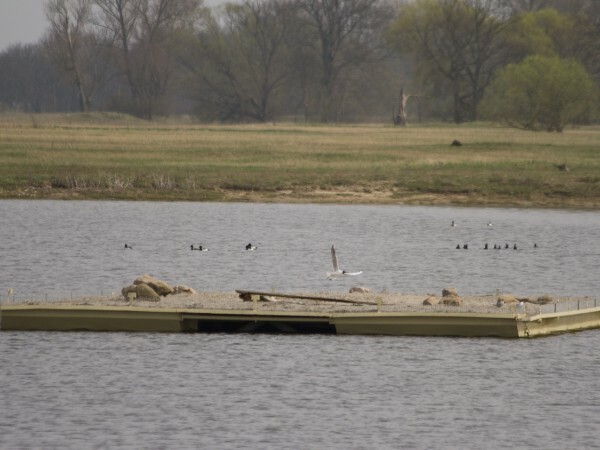 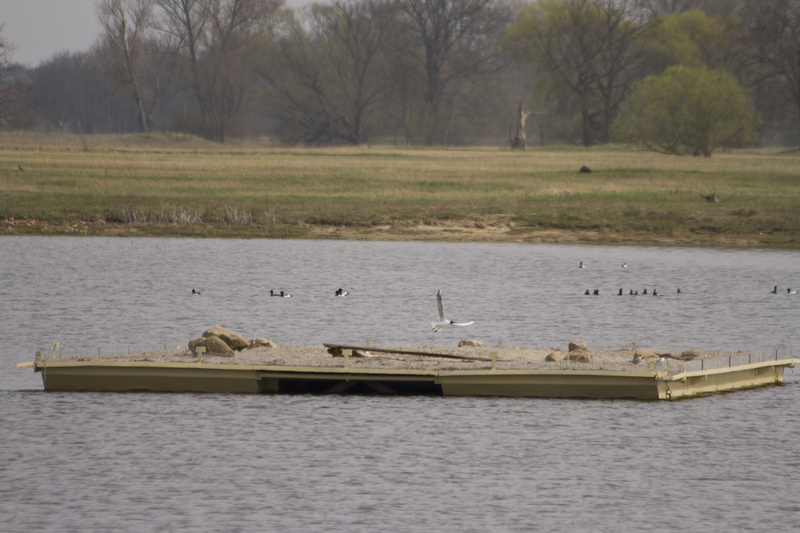 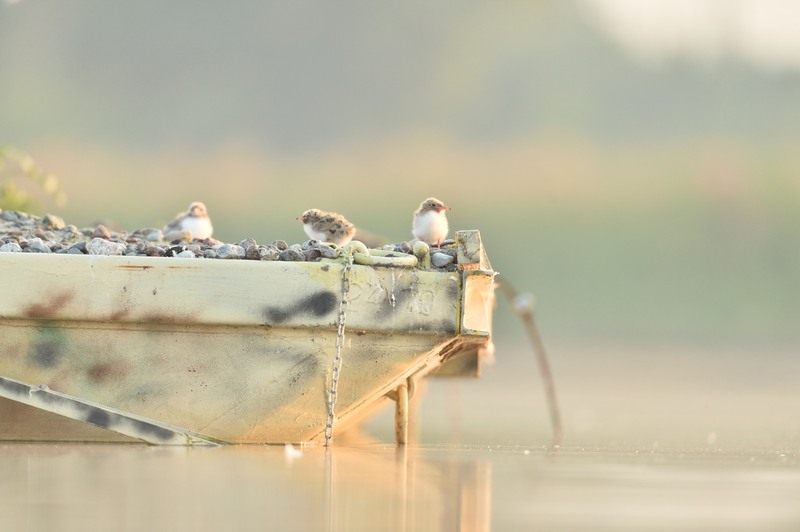 A quick report from Grzegorza Sępołowicz: Currently there are more than 30 common terns Sterna hirundo courting in the reservoirs. 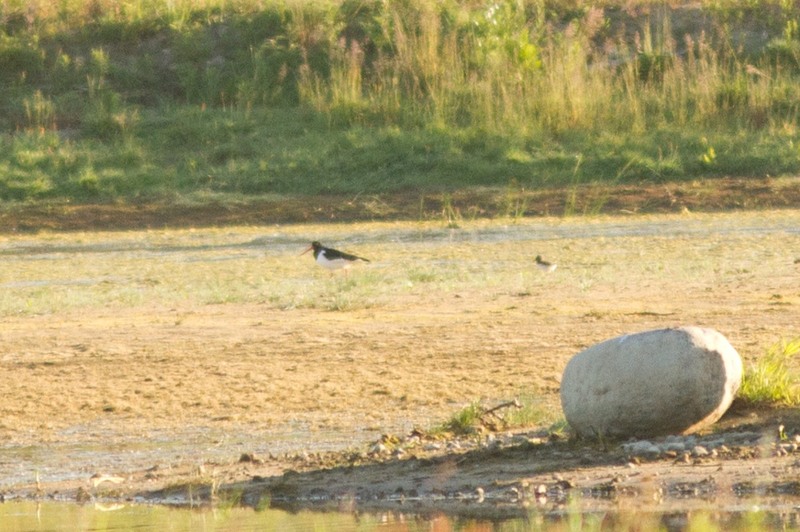 Black tern Chlidonias nigra, Eurasian oystercatcher Haematopus ostralegus, common shelduck Tadorna tadorna, little ringed plover Charadrius dubius, black-headed gull Chroicocephalus ridibundus and greylag goose Anser anser with its 2 – 3 day old hatchlings have also appeared. 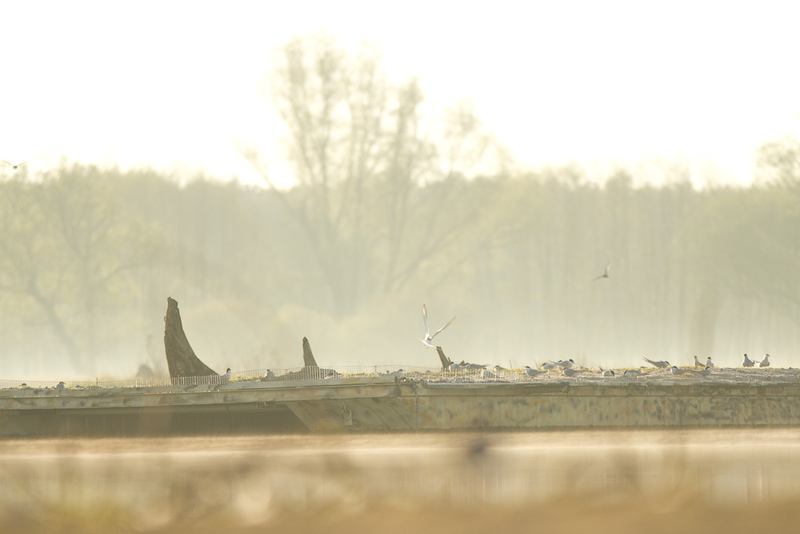 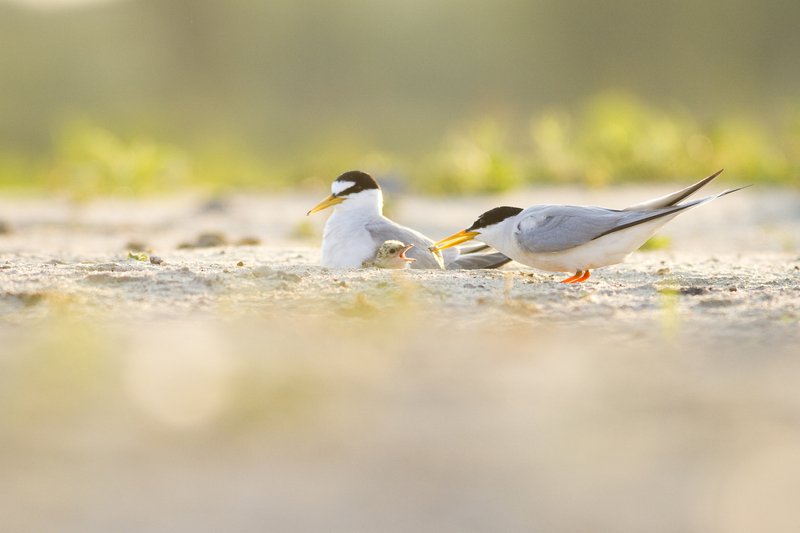 Today, in the reservoir in Kaleńkso, we discovered a record-breaking amount of common tern Sterna hirundo. 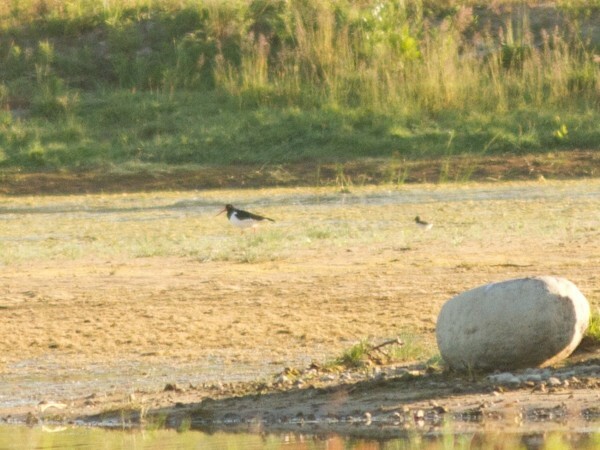 In the photograph below 146 birds can be distinguished, and these are not all of the specimen that were captured in the frame. 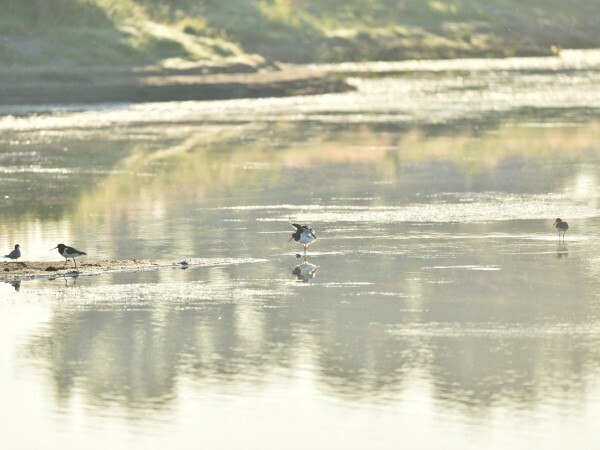 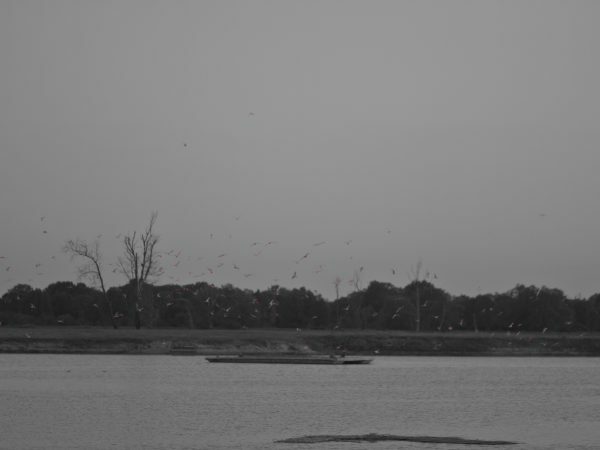 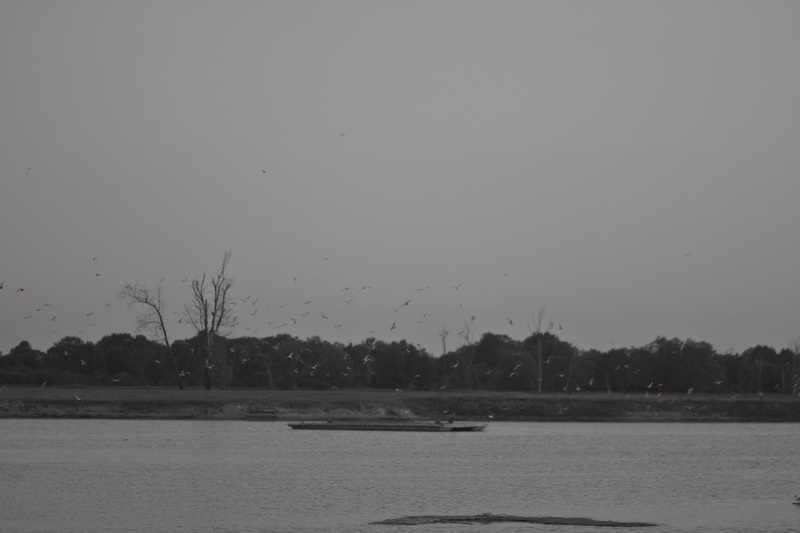 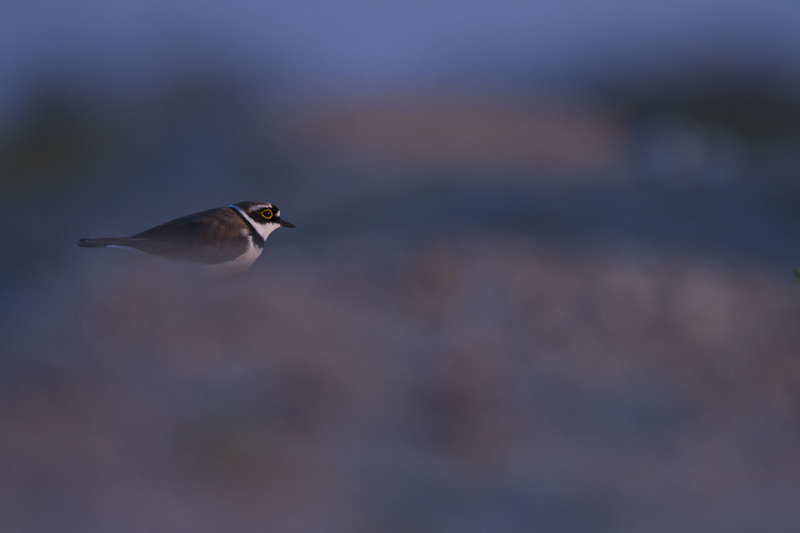 We can speculate that at the moment when the photograph was taken there were around 200 birds flying around the island! 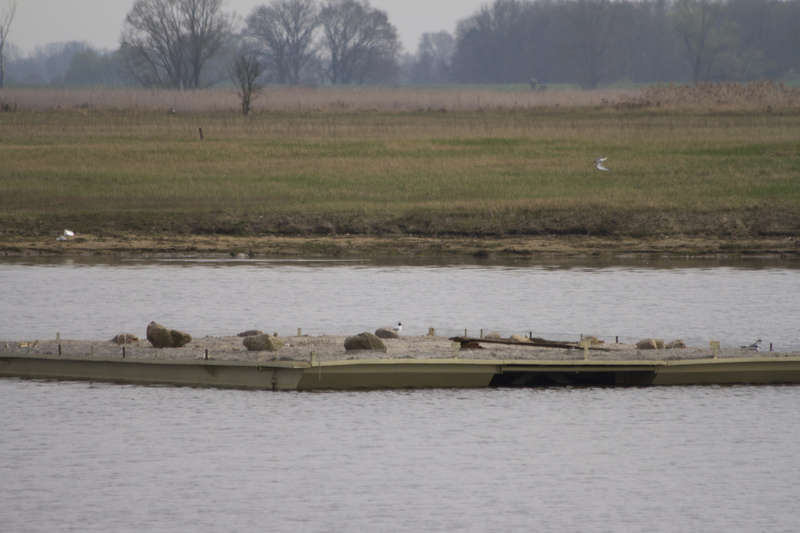 There is a lot of courting happening on the platforms in Kaleńsko. 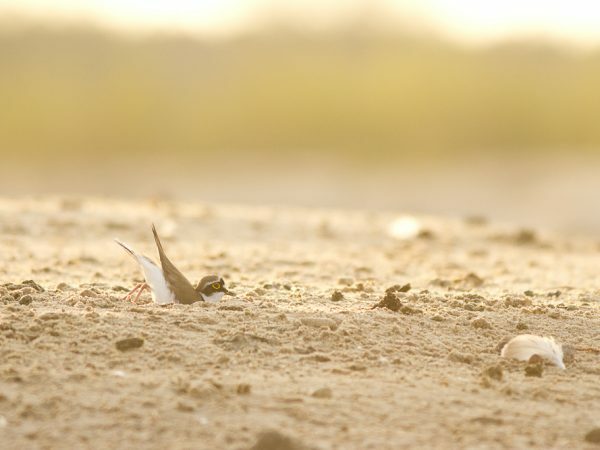 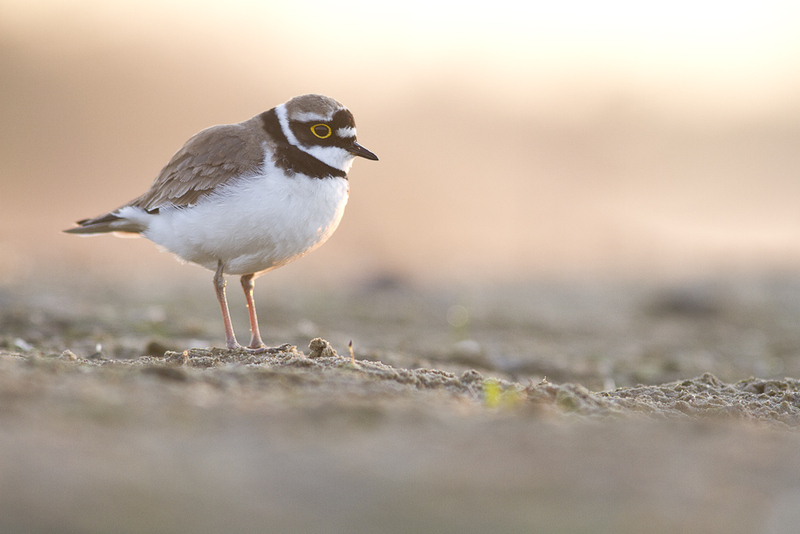 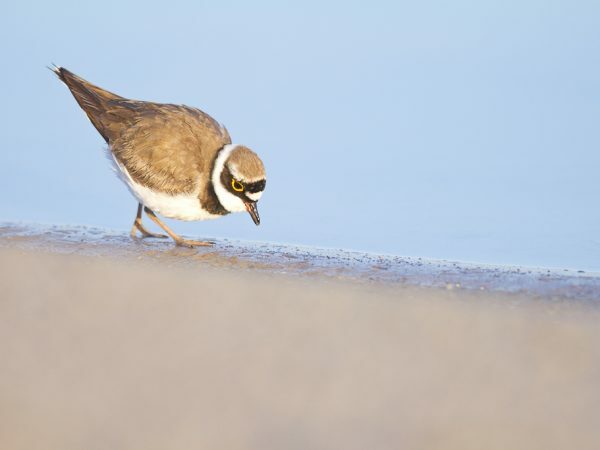 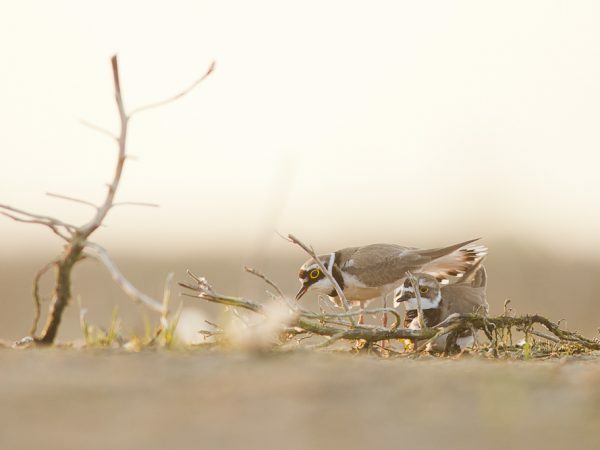 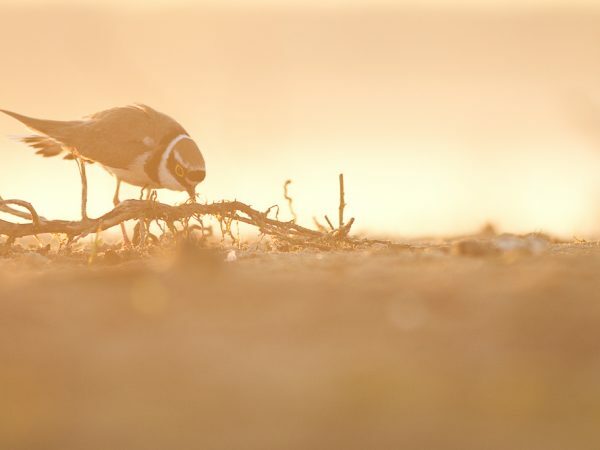 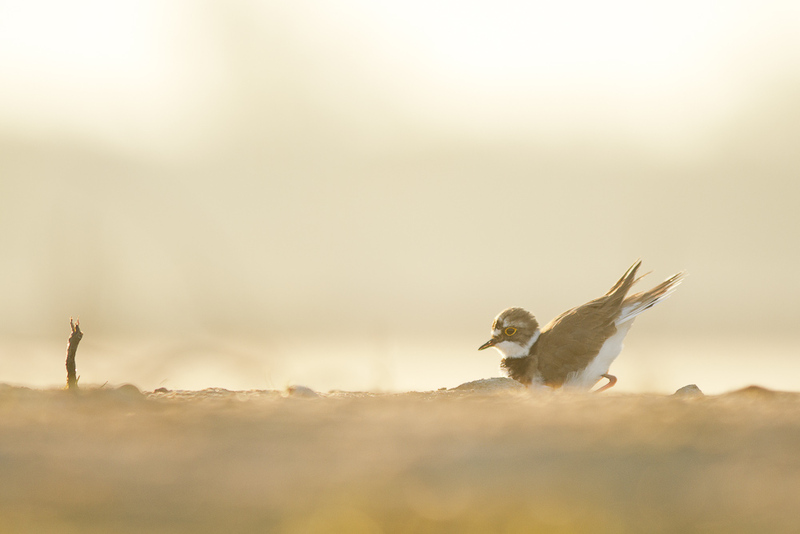 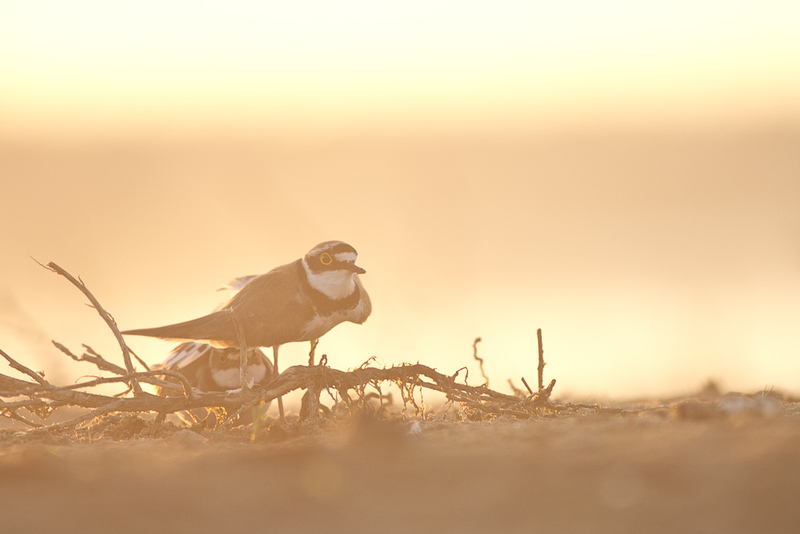 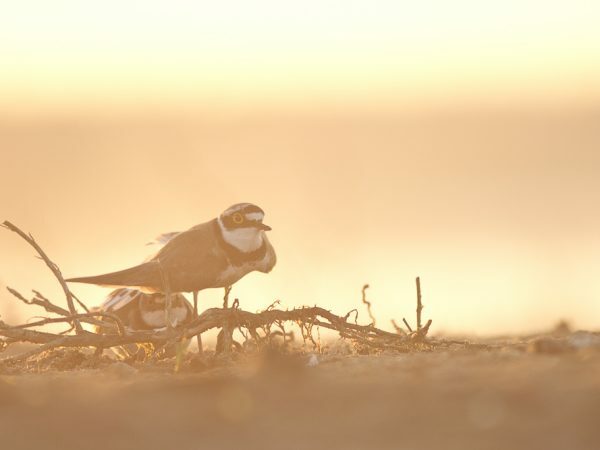 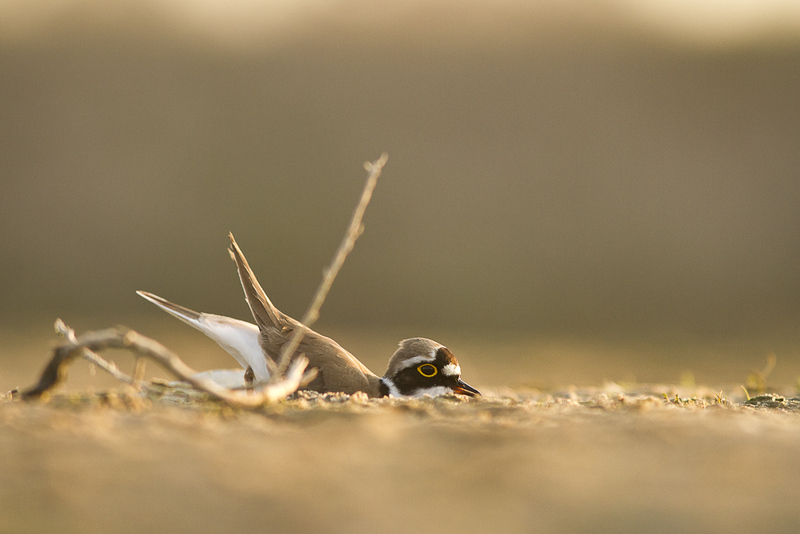 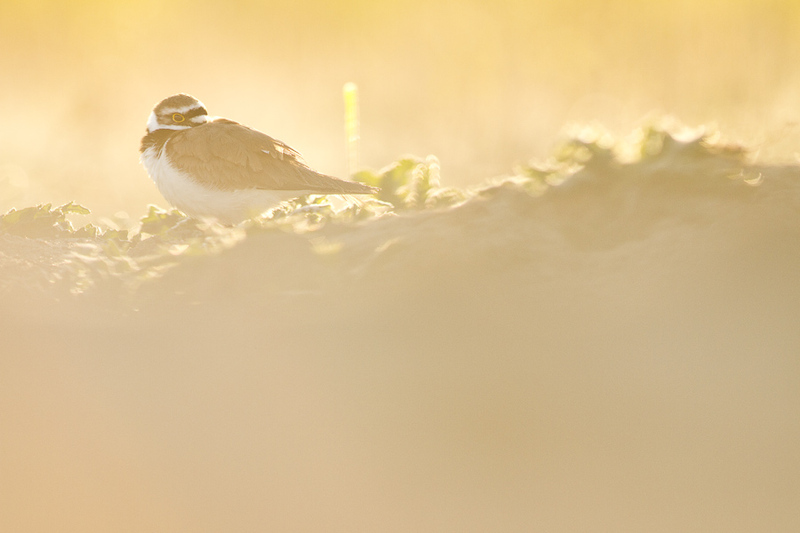 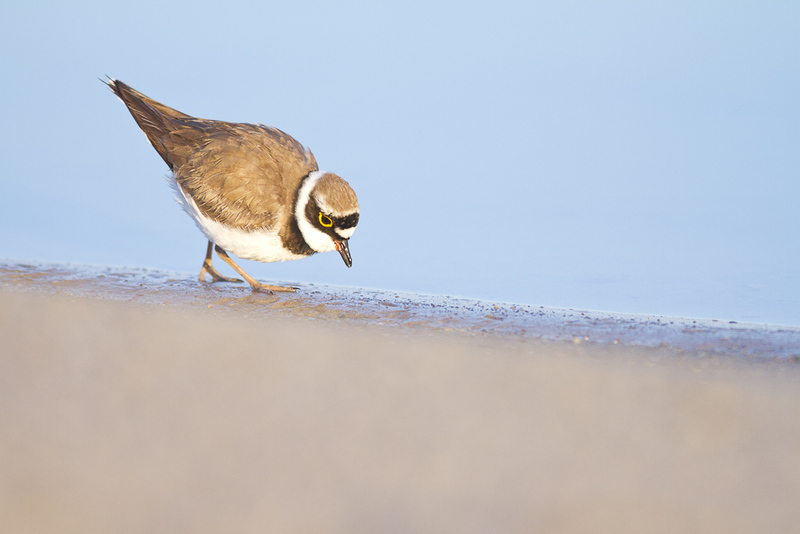 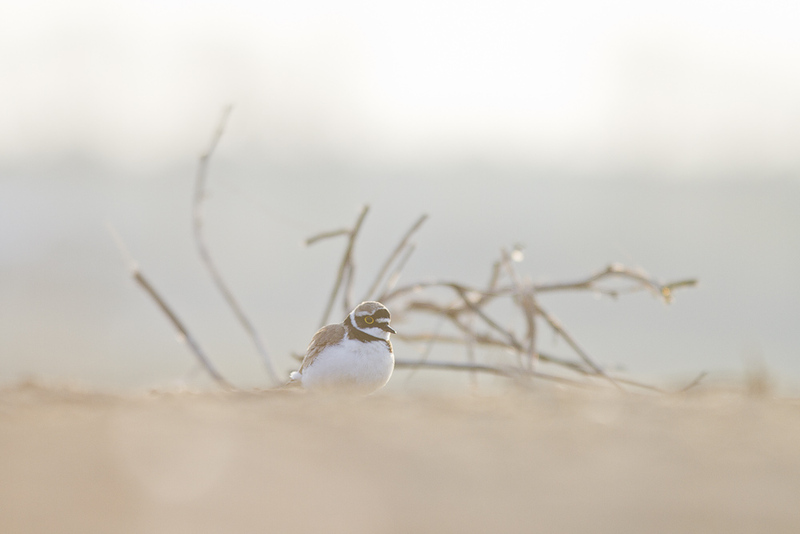 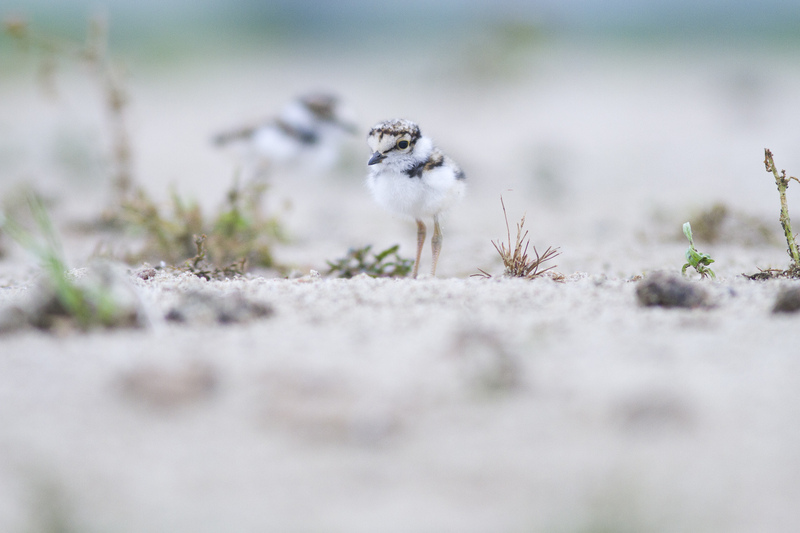 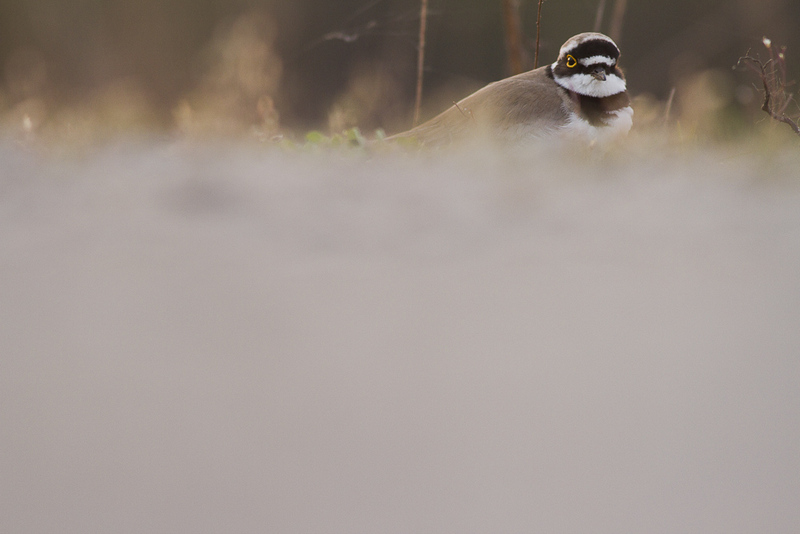 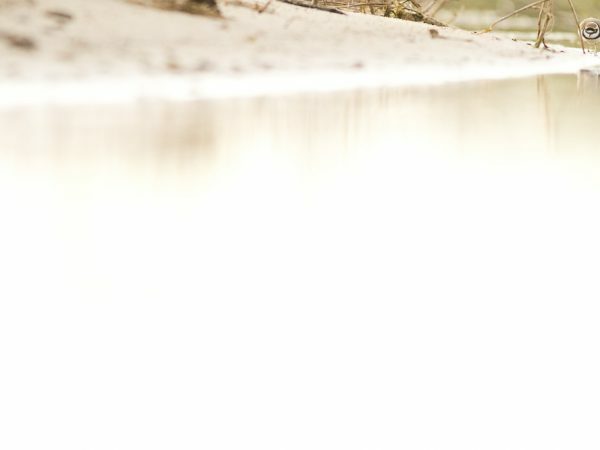 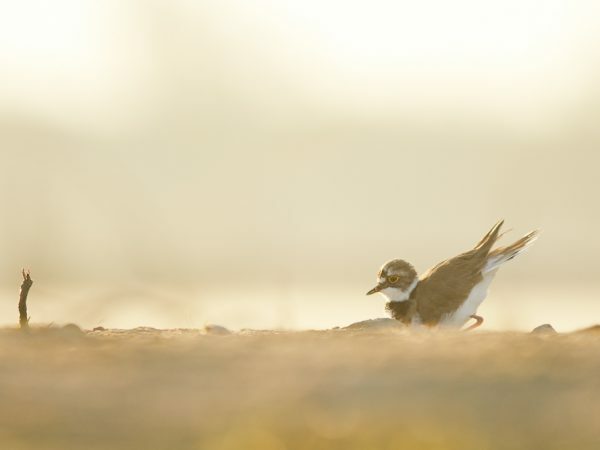 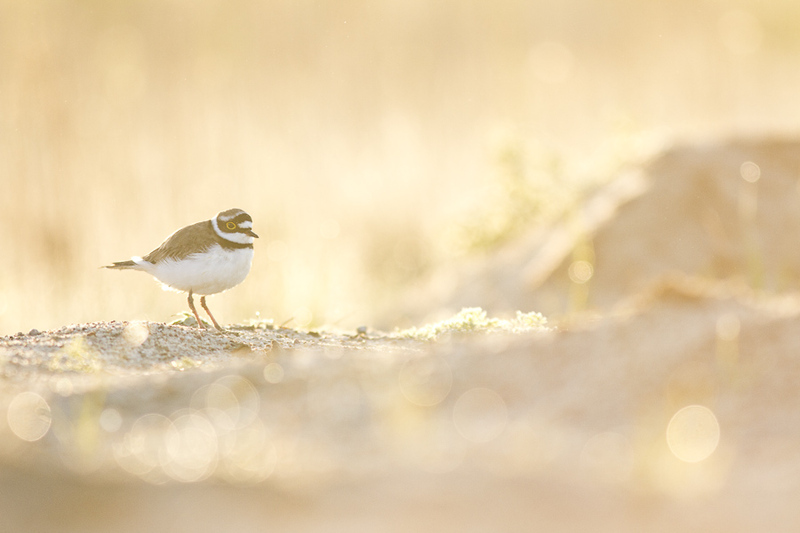 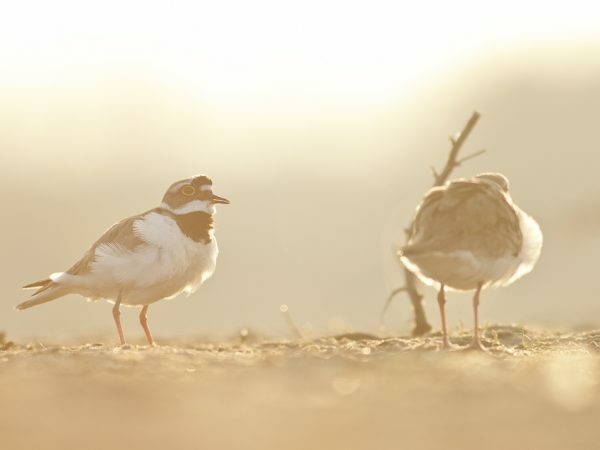 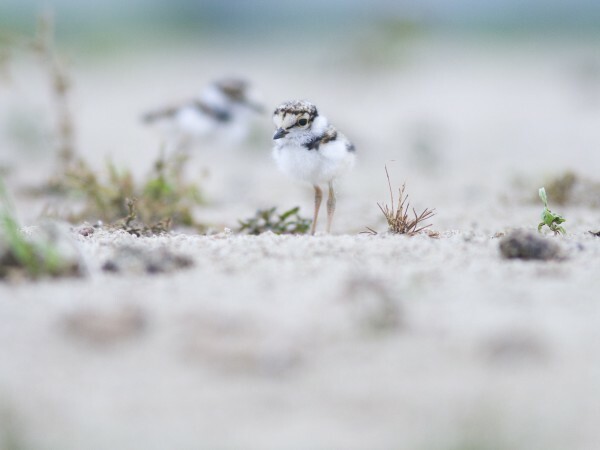 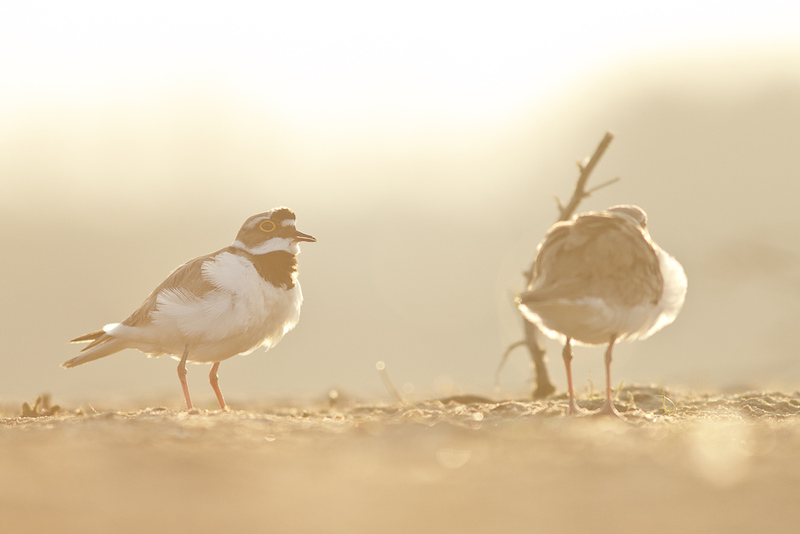 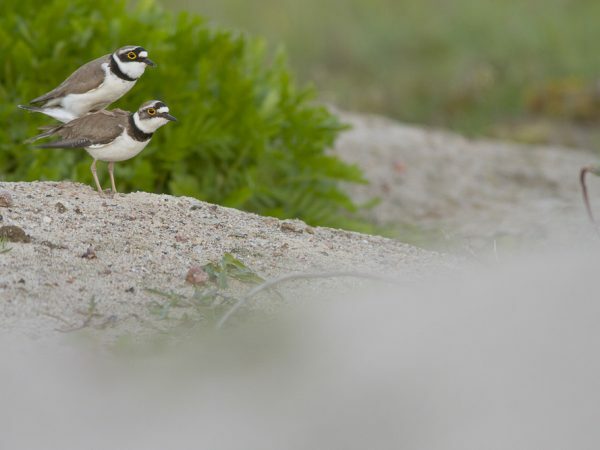 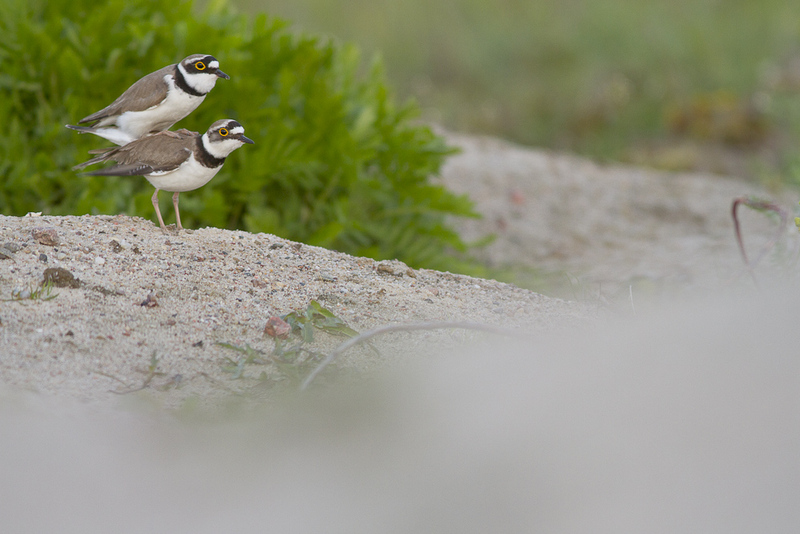 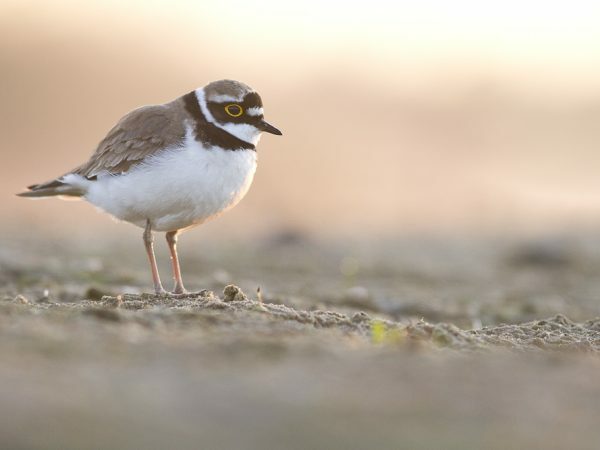 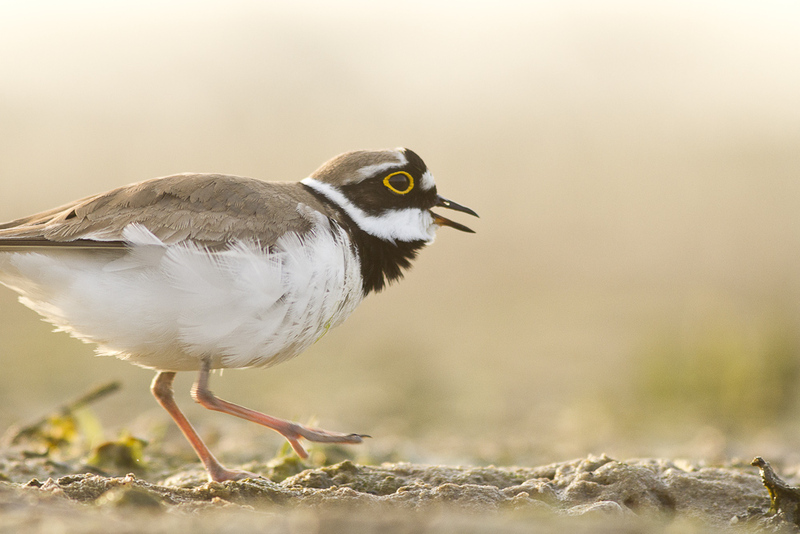 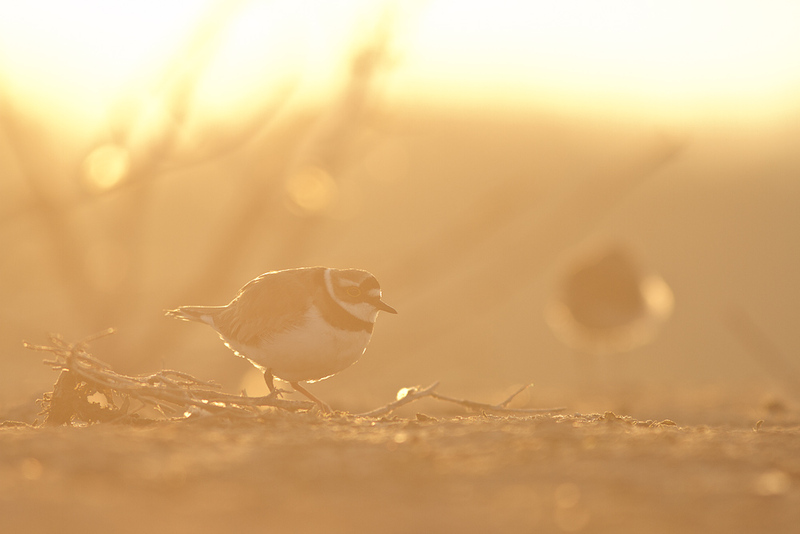 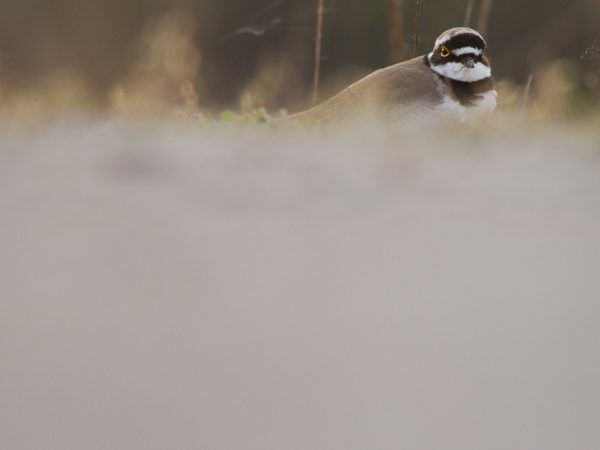 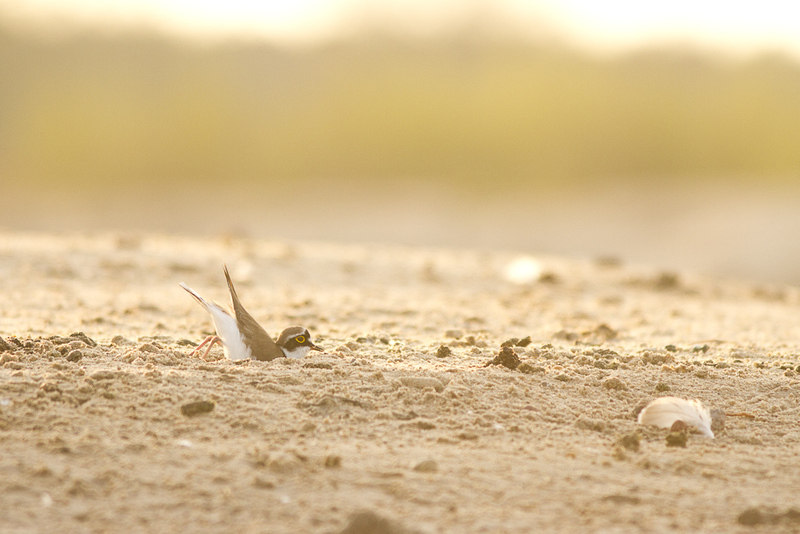 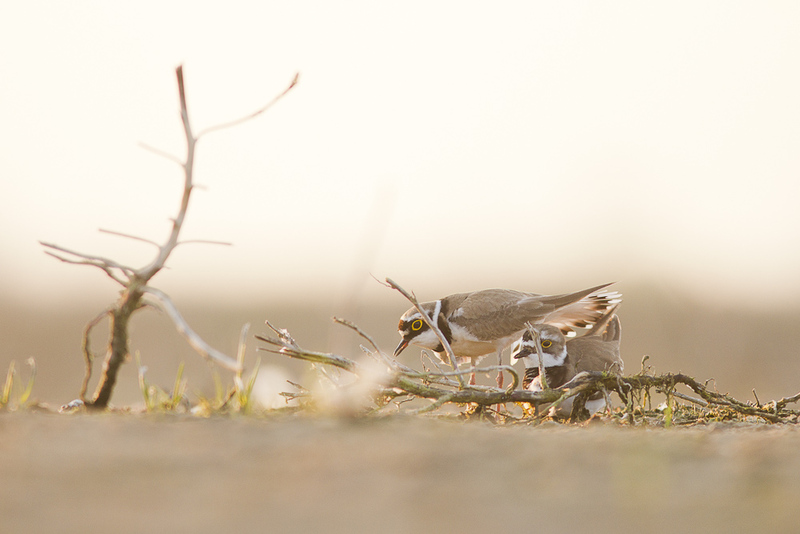 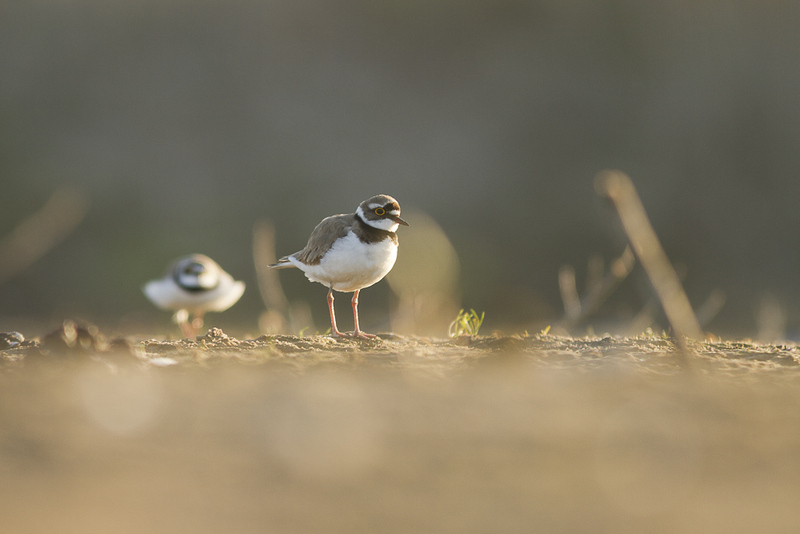 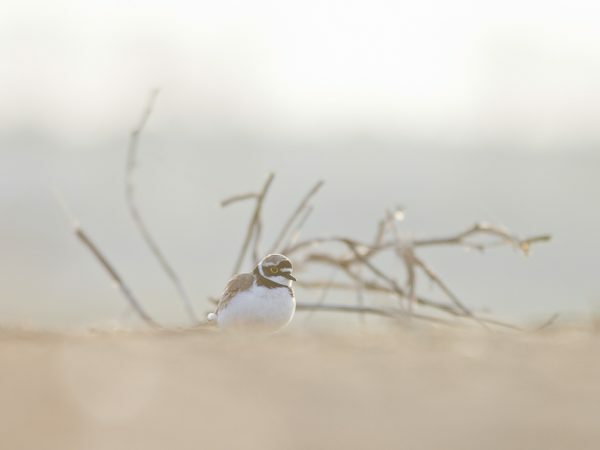 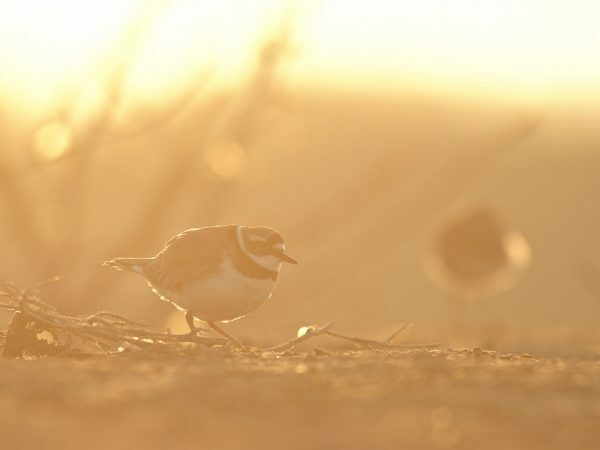 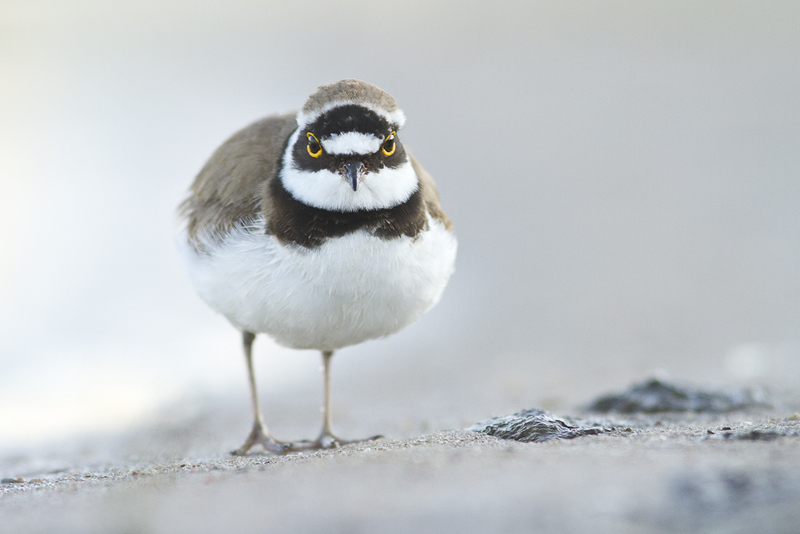 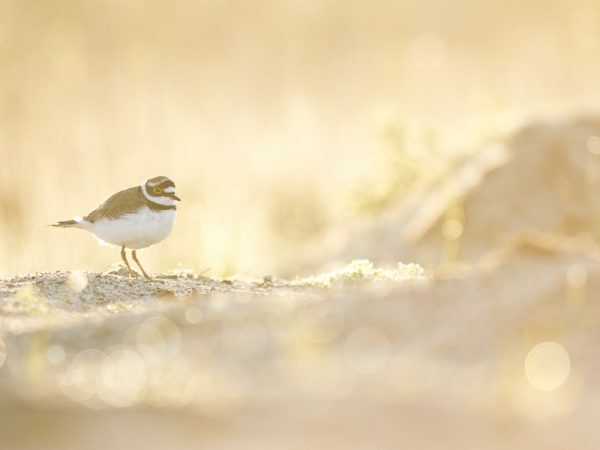 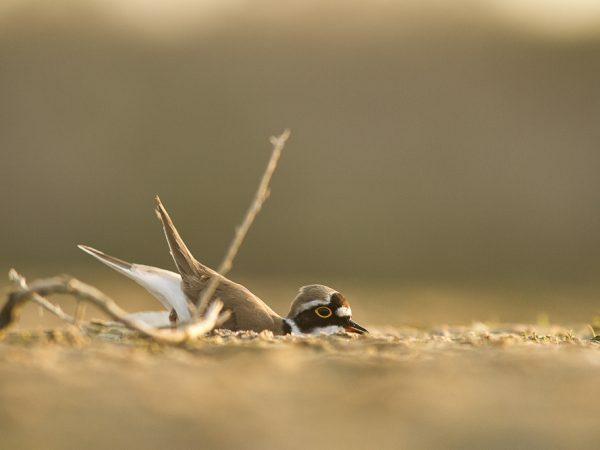 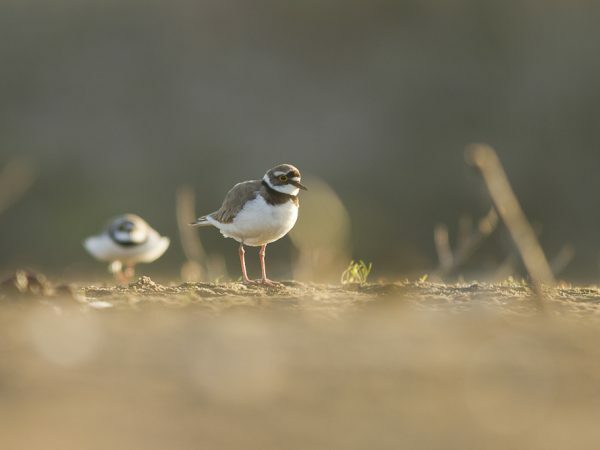 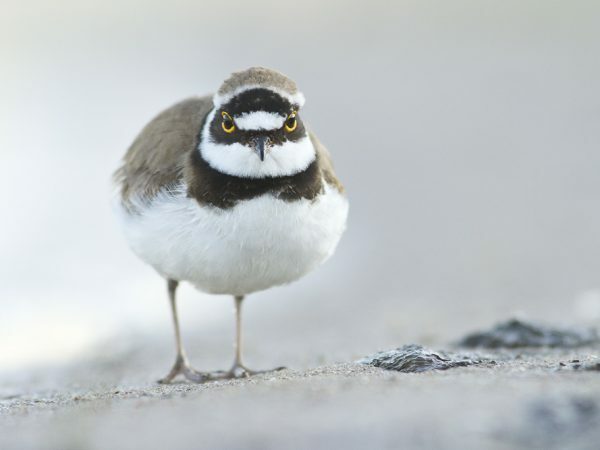 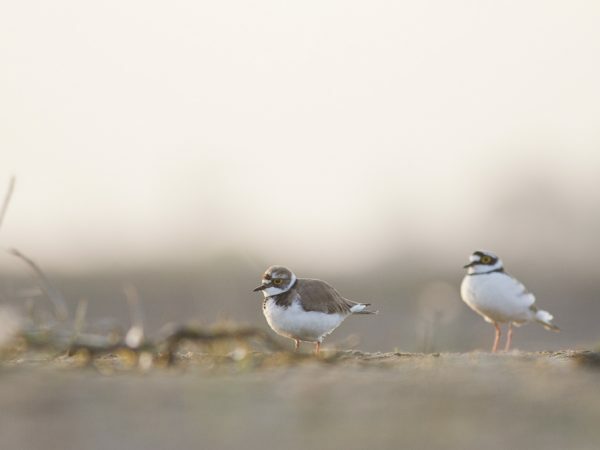 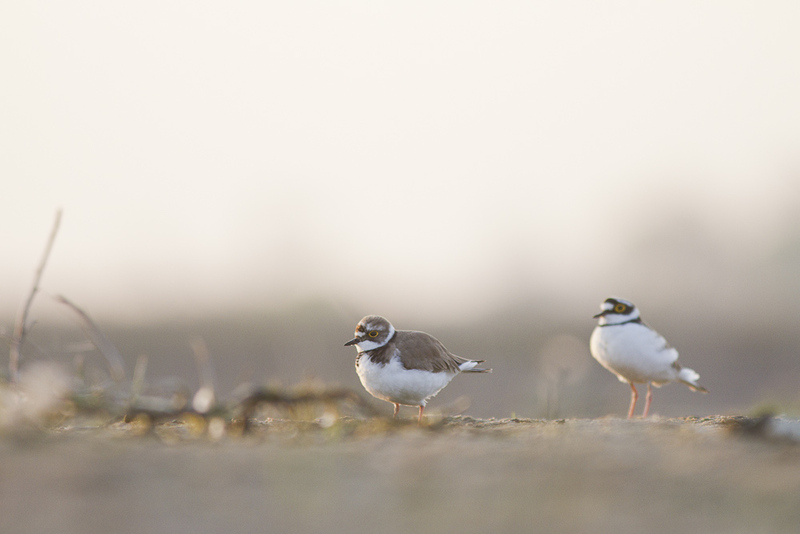 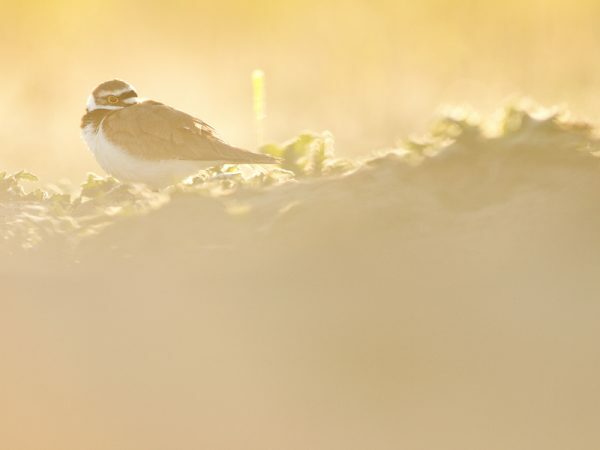 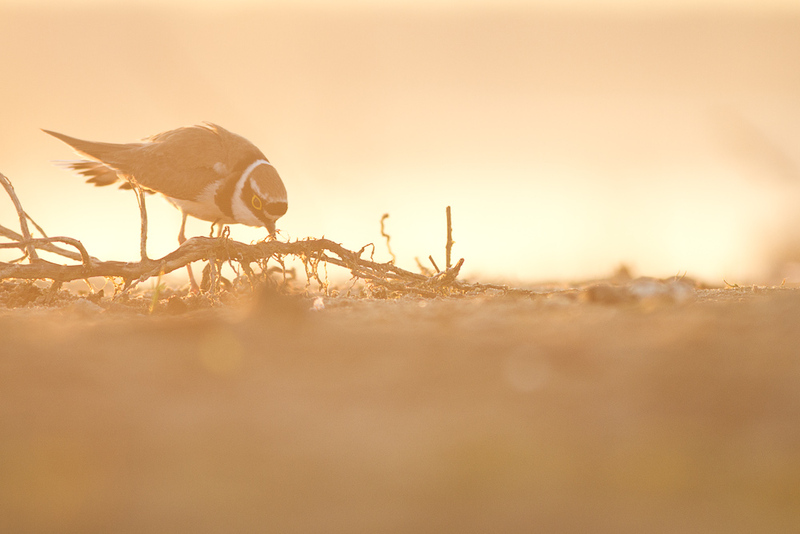 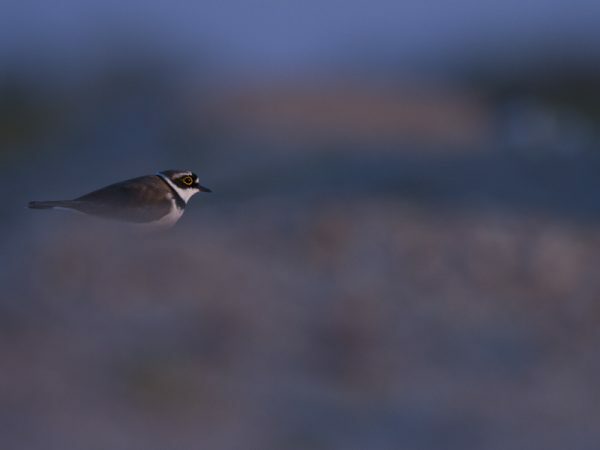 Grzegorz Sępołowicz, the leader of the monitoring team, has been observing courting little ringed plovers Charadrius dubius for a few days now. 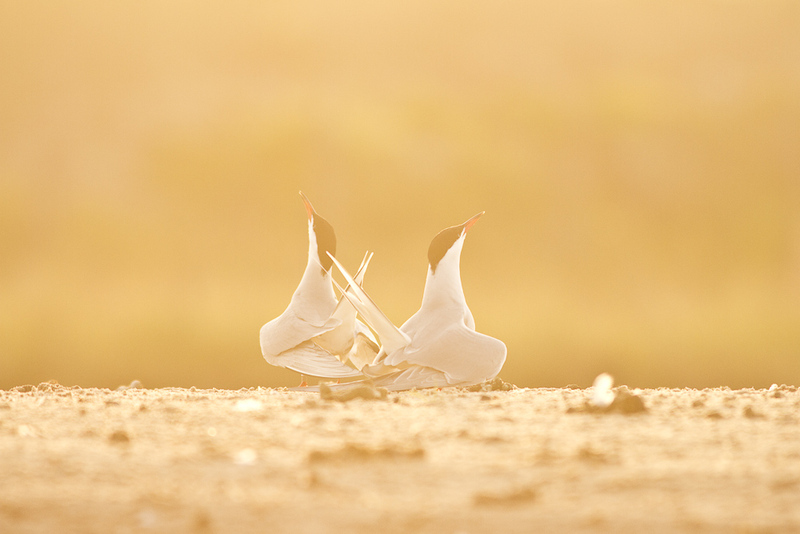 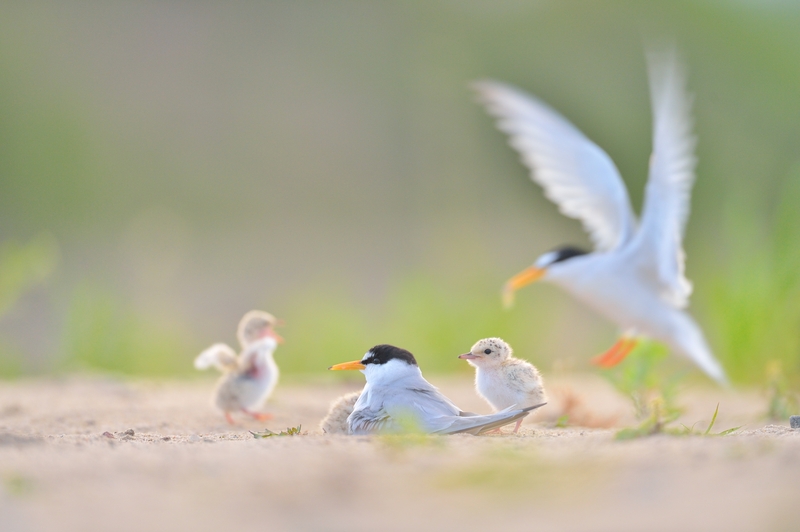 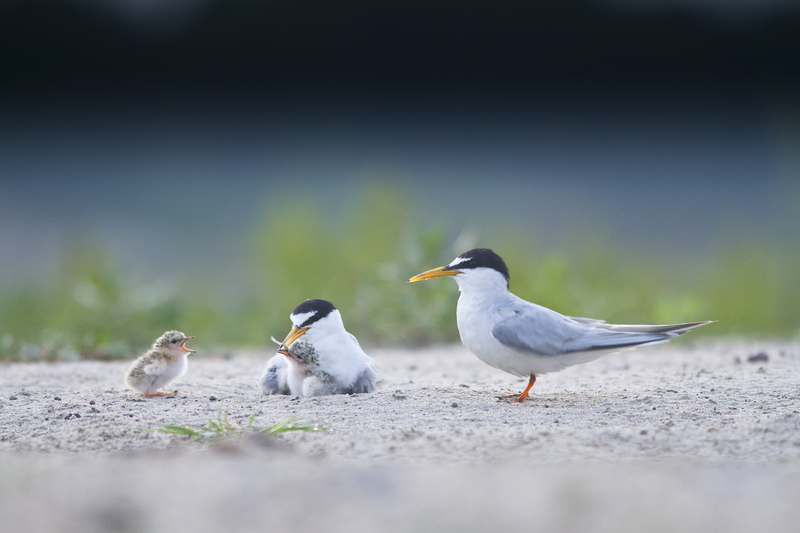 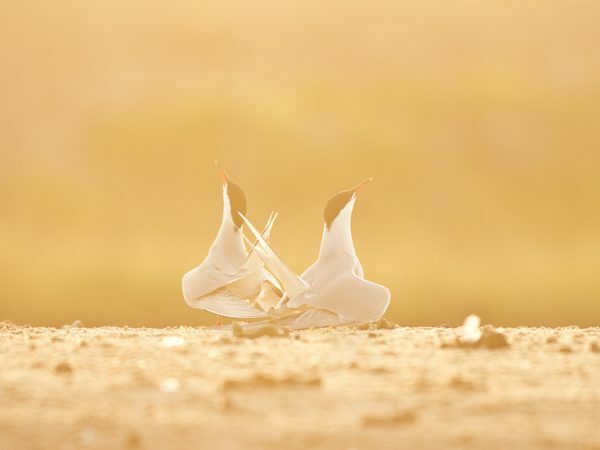 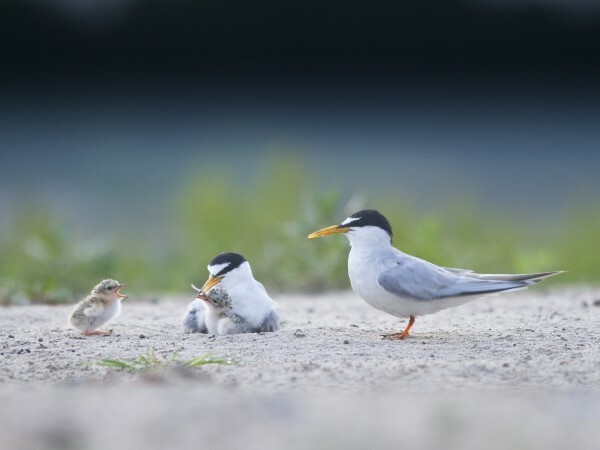 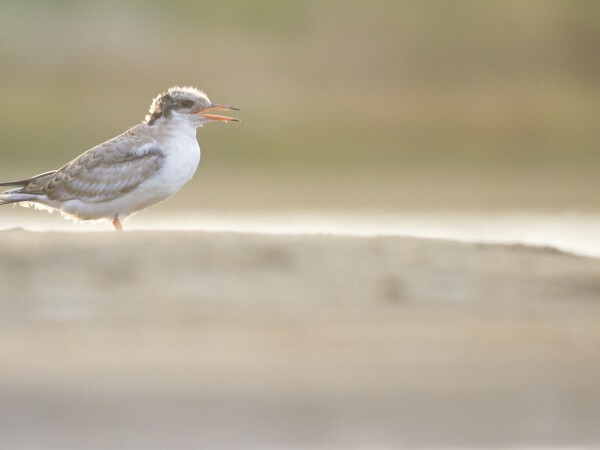 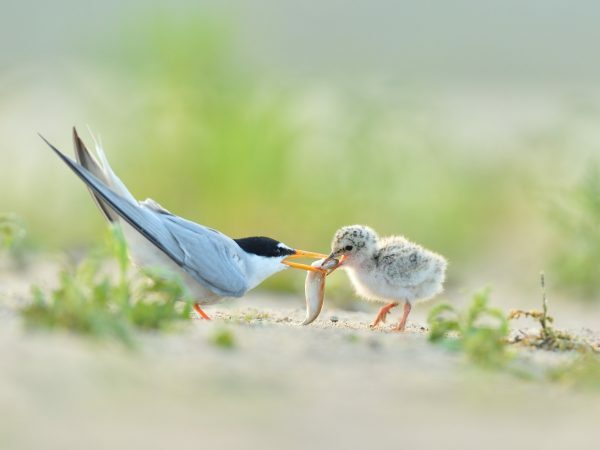 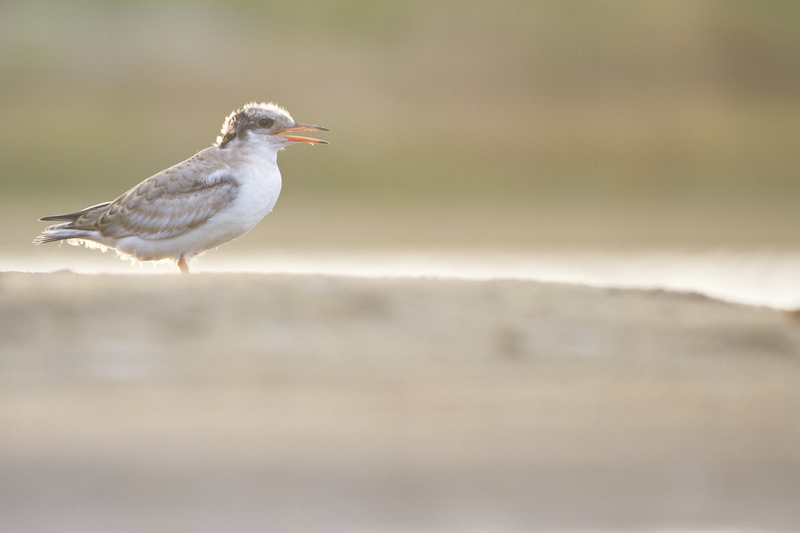 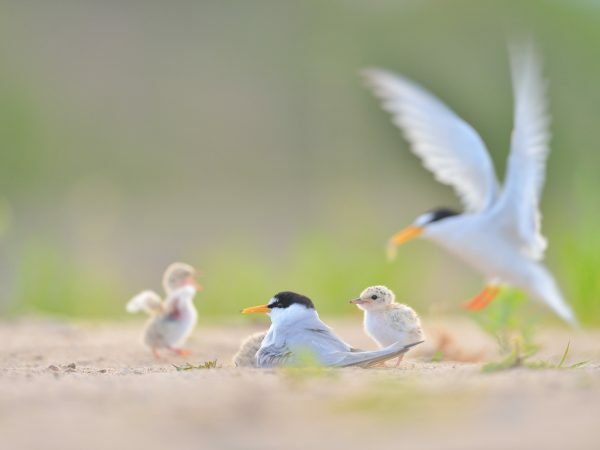 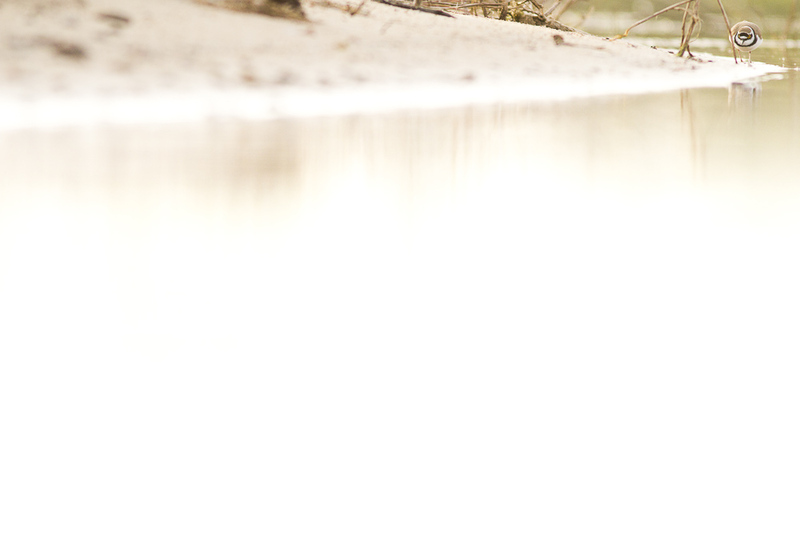 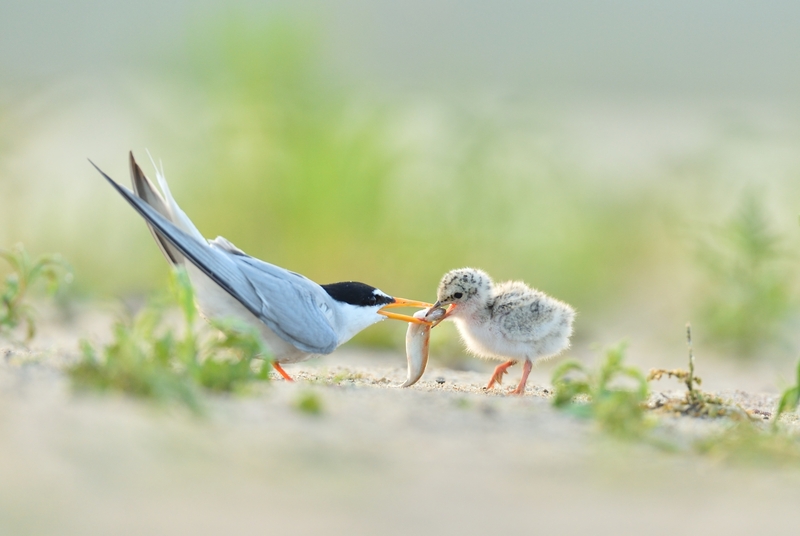 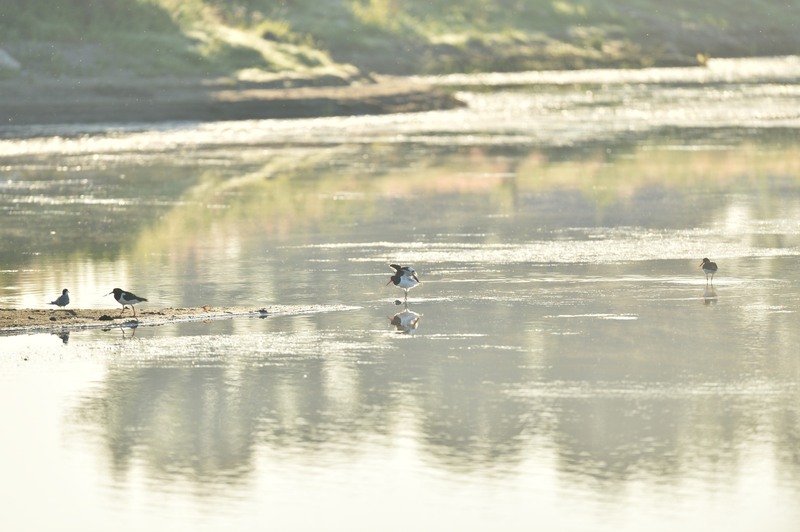 Terns also appeared… One of the photographs present the mating dance of common tern Sterna hirundo. 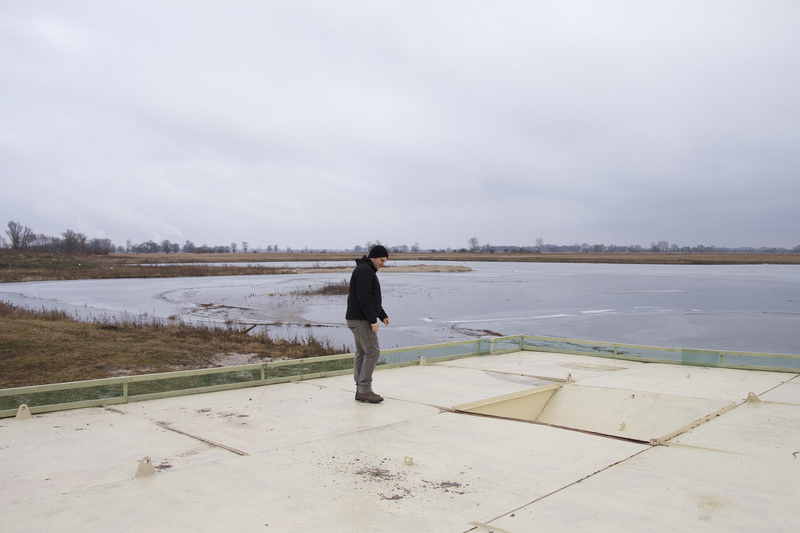 We are glad to inform that we have finished the installation of the third floating island. 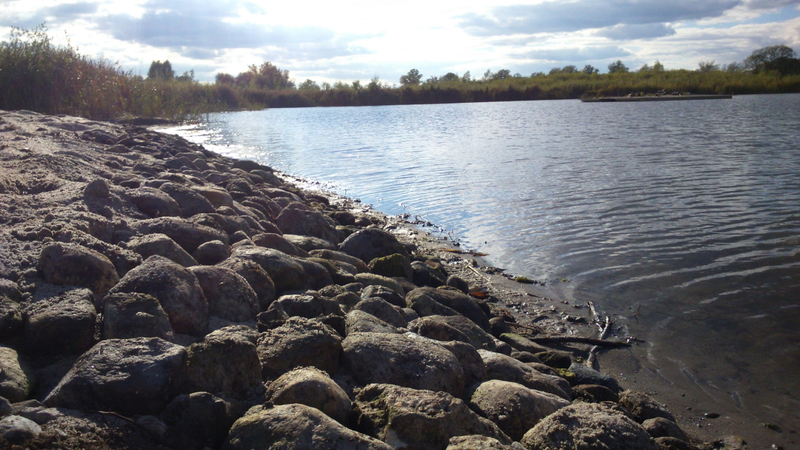 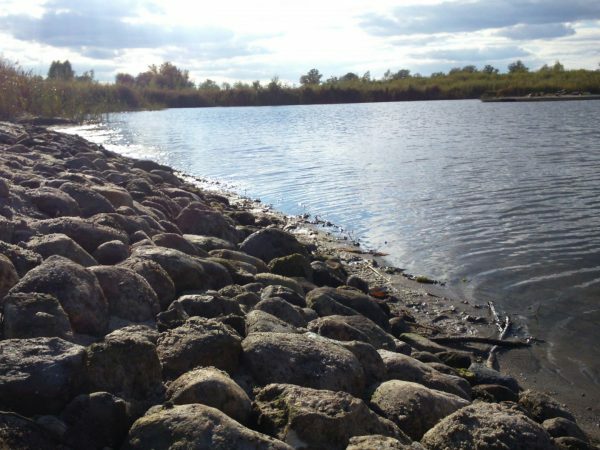 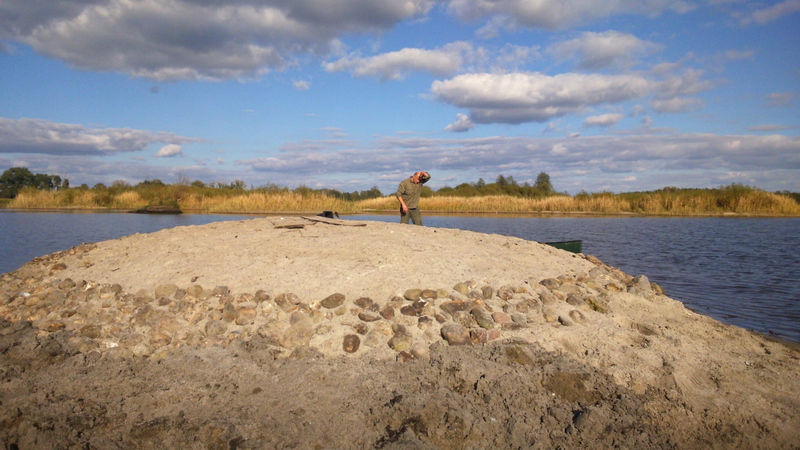 It can be seen on the reservoir in Kaleńsko. 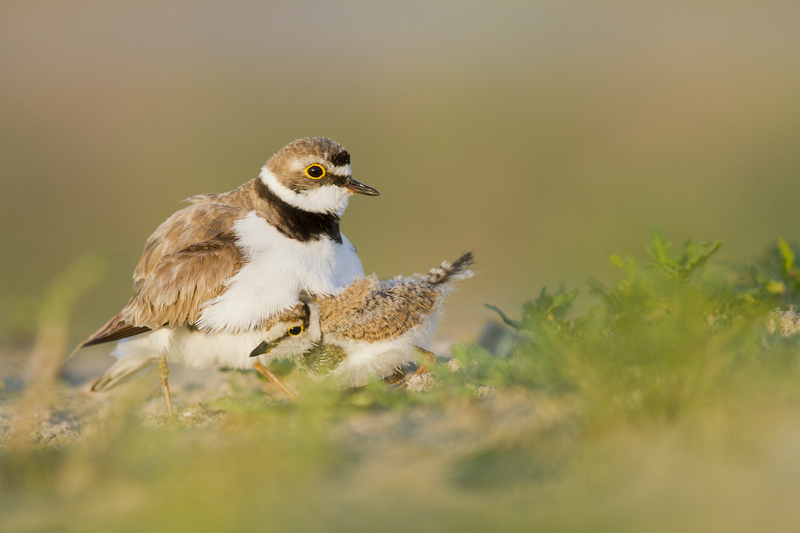 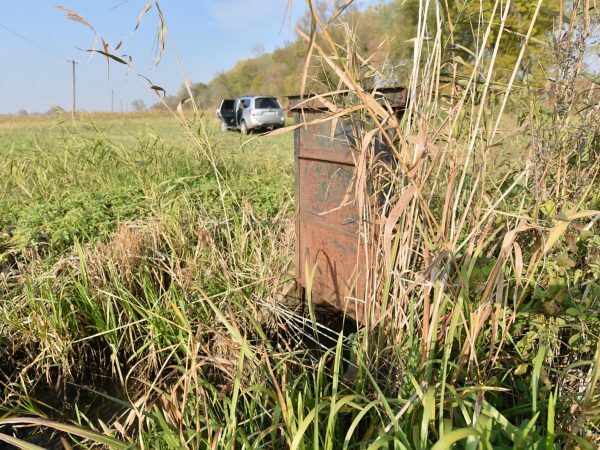 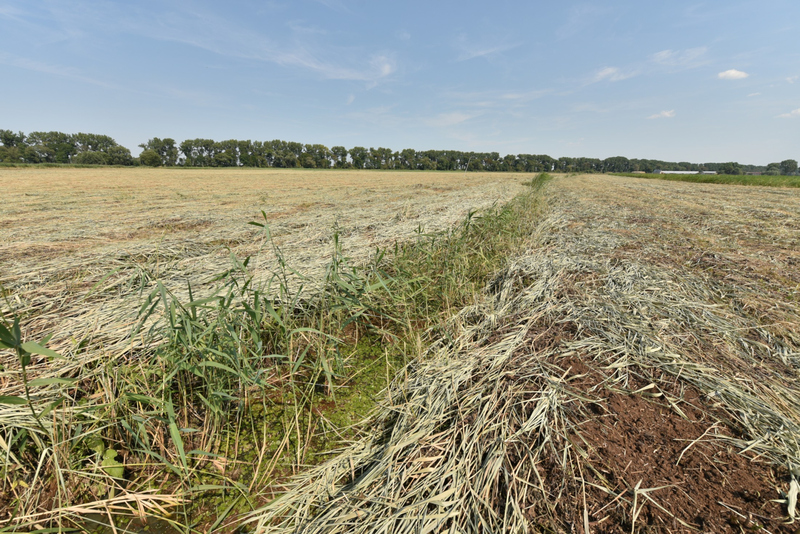 We hope that this installment will help increase breeding successfulness even further. 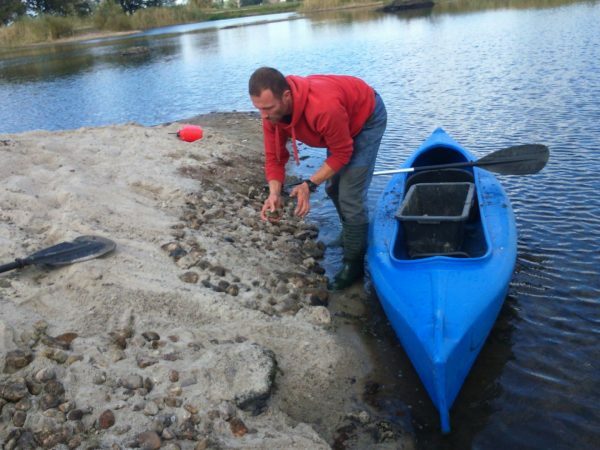 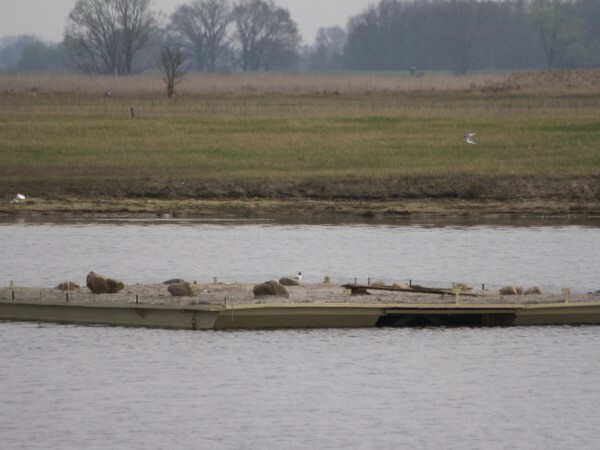 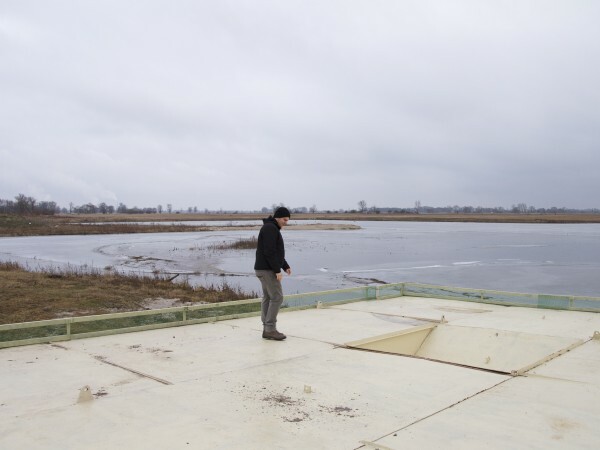 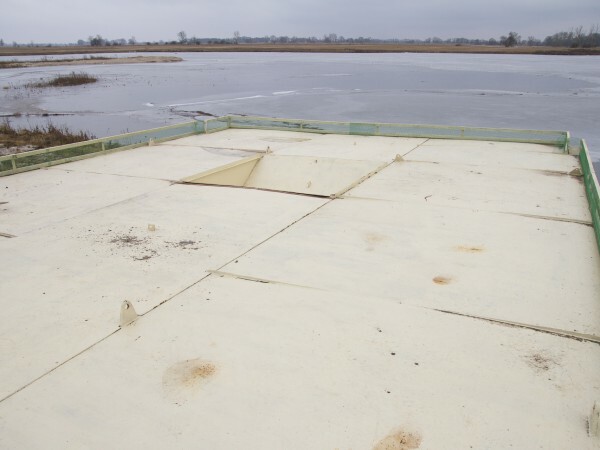 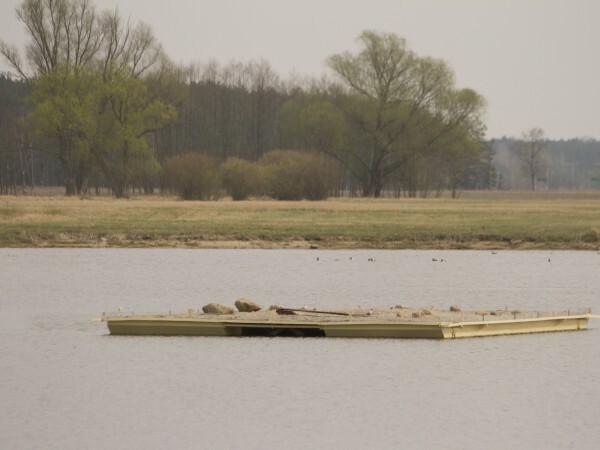 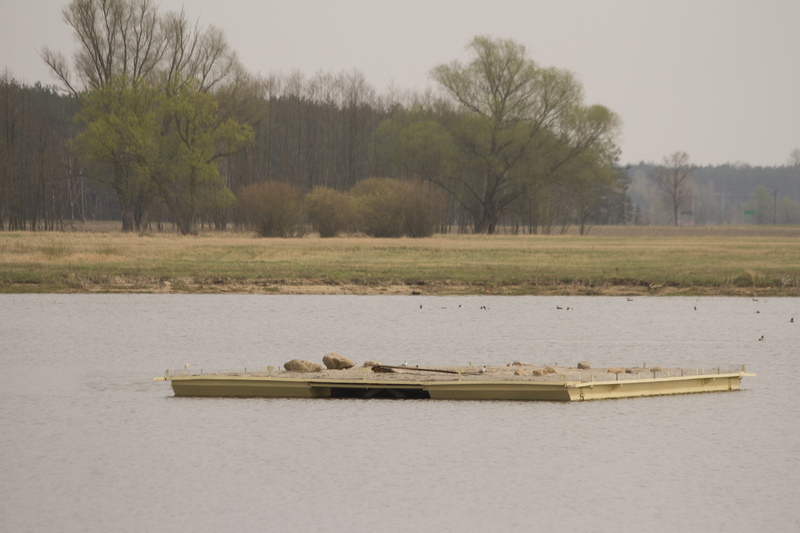 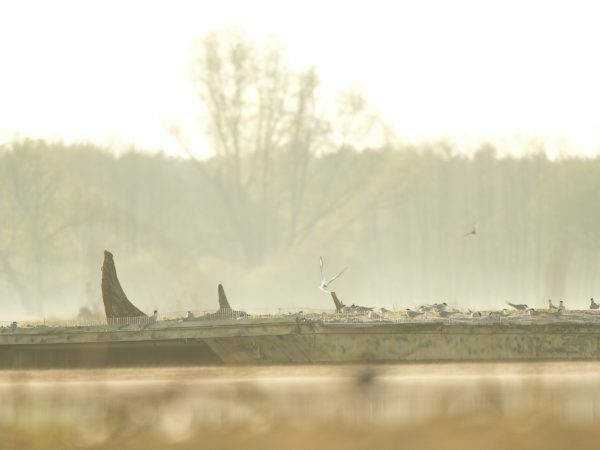 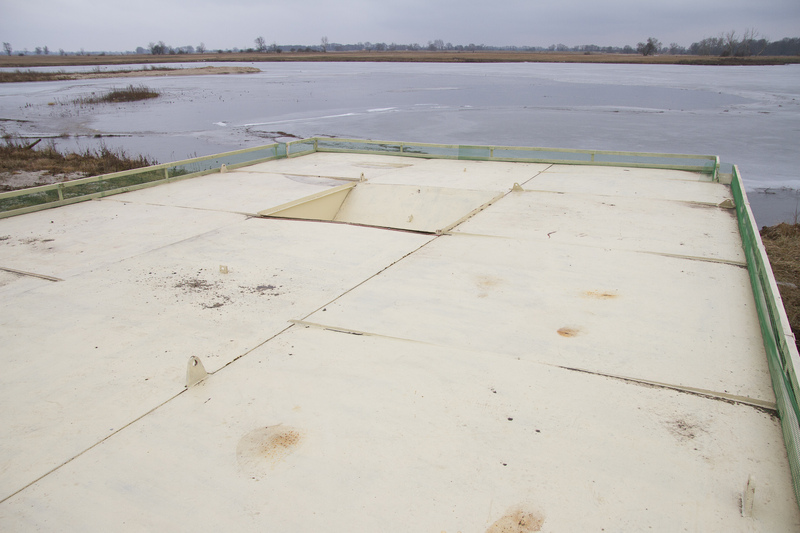 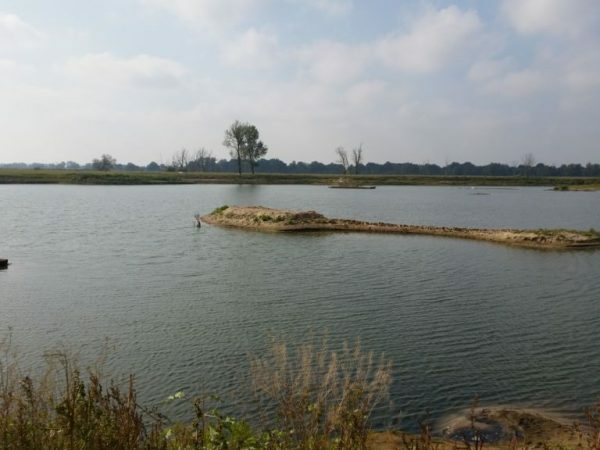 As you can see in one of the photographs, the last island was equipped with an innovative feature – a small pond inside the platform in which the hatchlings will be able to have the first contact with the water in a safe environment. 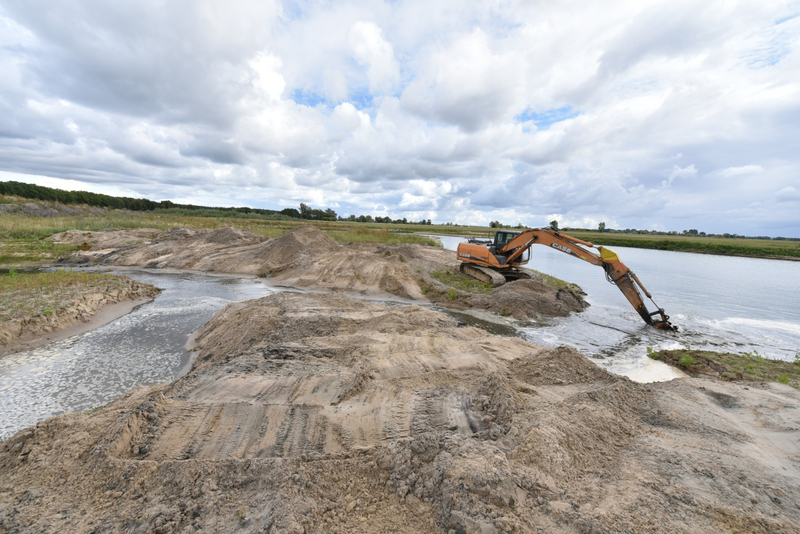 The work on building the reservoir gains momentum. 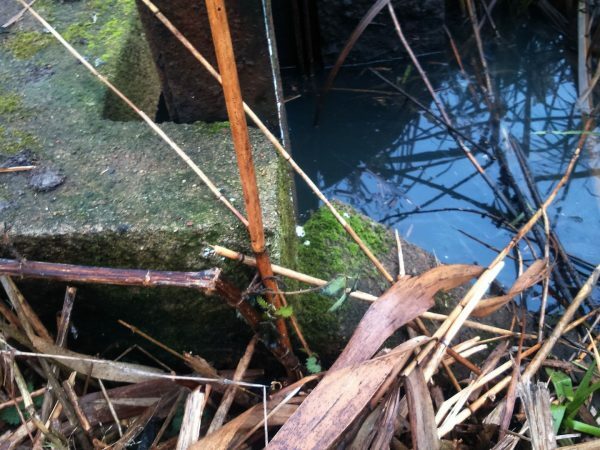 The valve in the canal has been already replaced – this will allow us to control the water level so it does not flood the area around it. 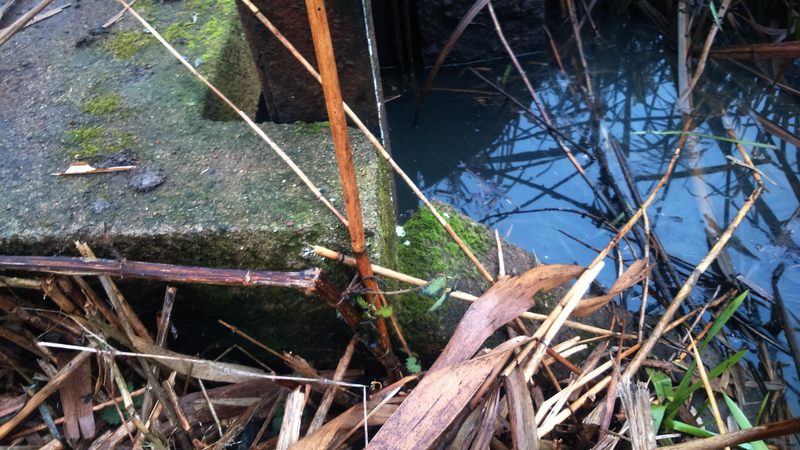 With the valve closed and the water level lowered we will be able to mow the grass. 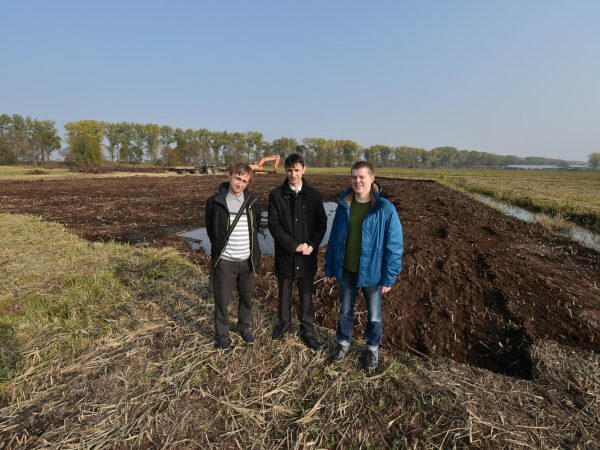 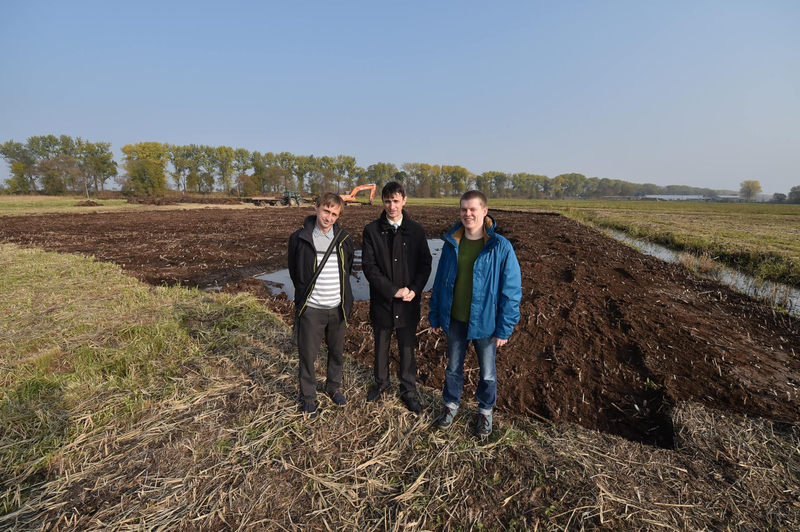 Last week, the head of municipality of Górzyca (the partner of the project and the head of the municipality on the territory of which we are currently working) visited our worksite. 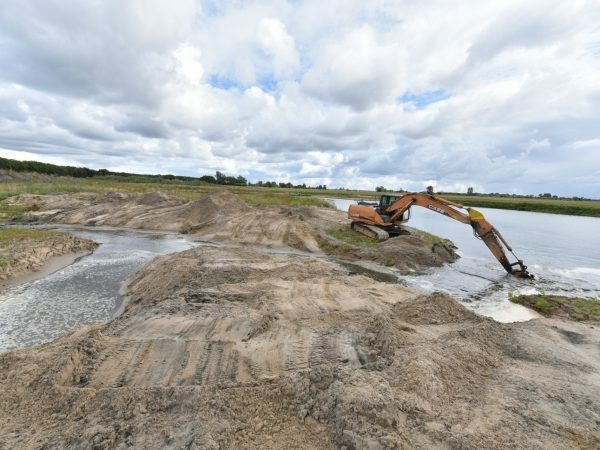 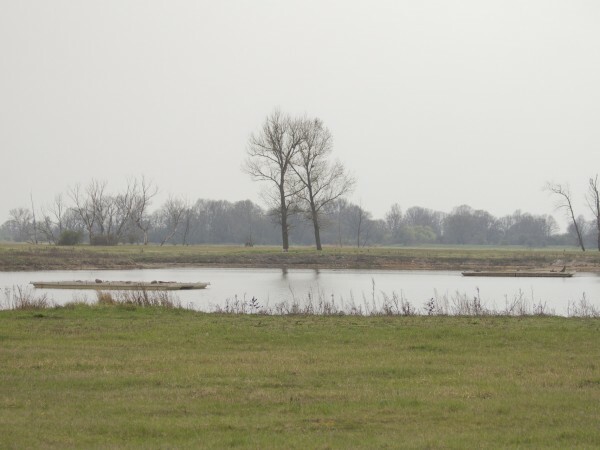 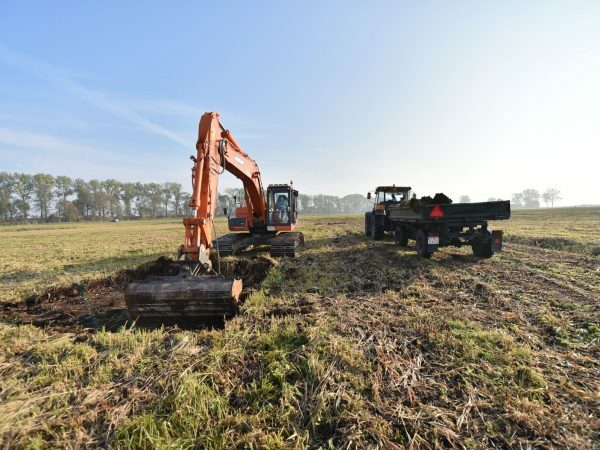 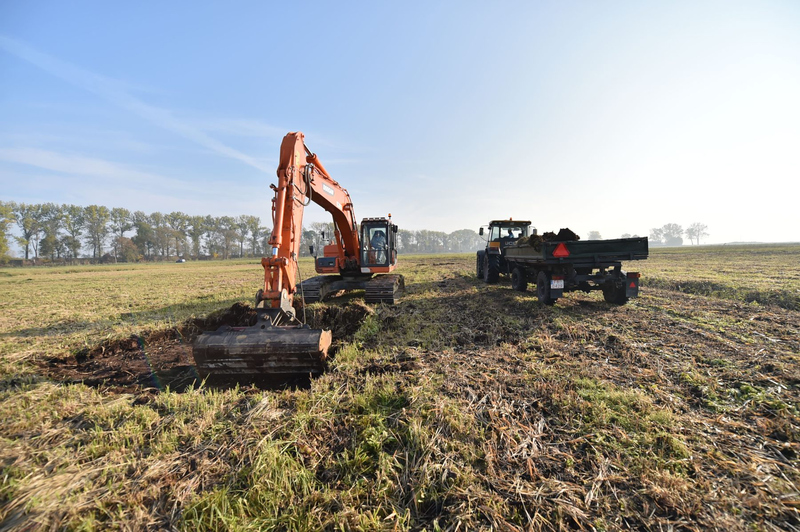 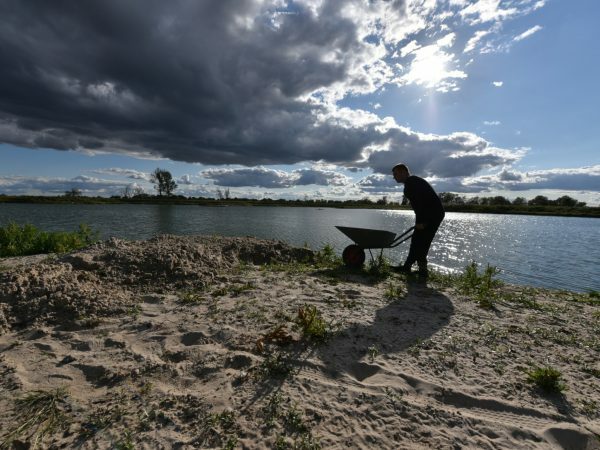 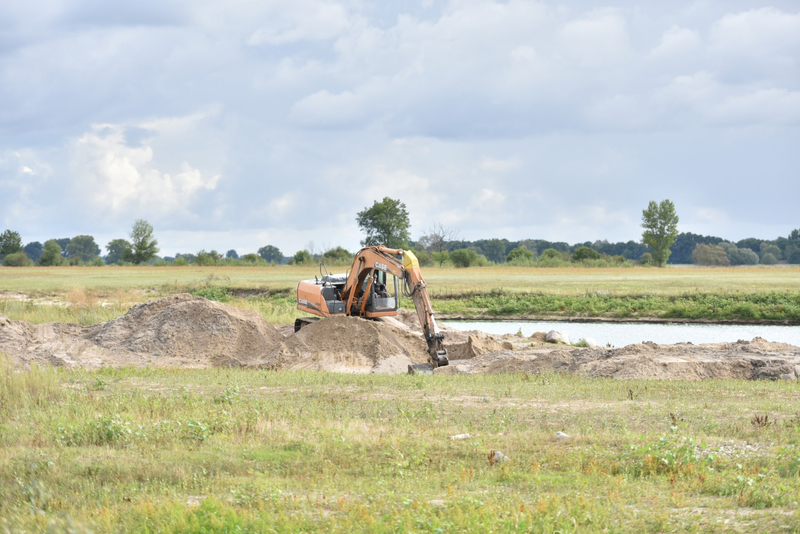 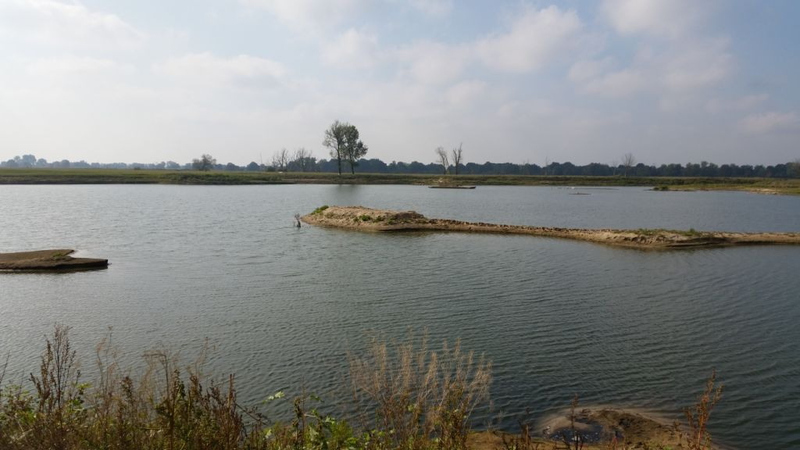 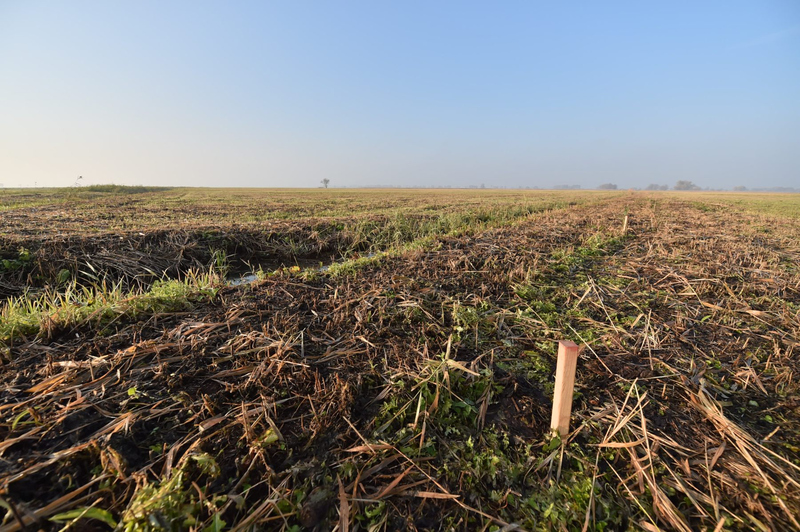 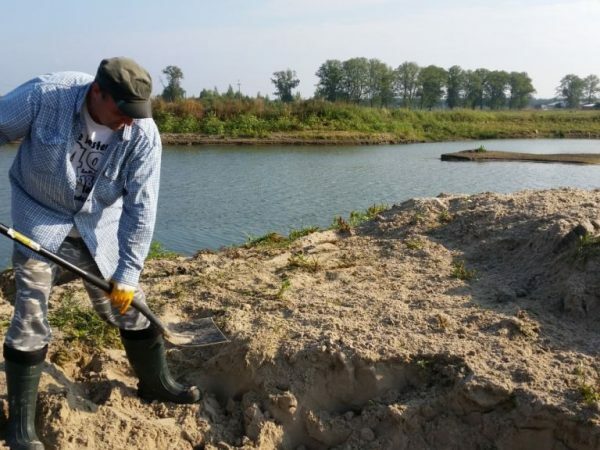 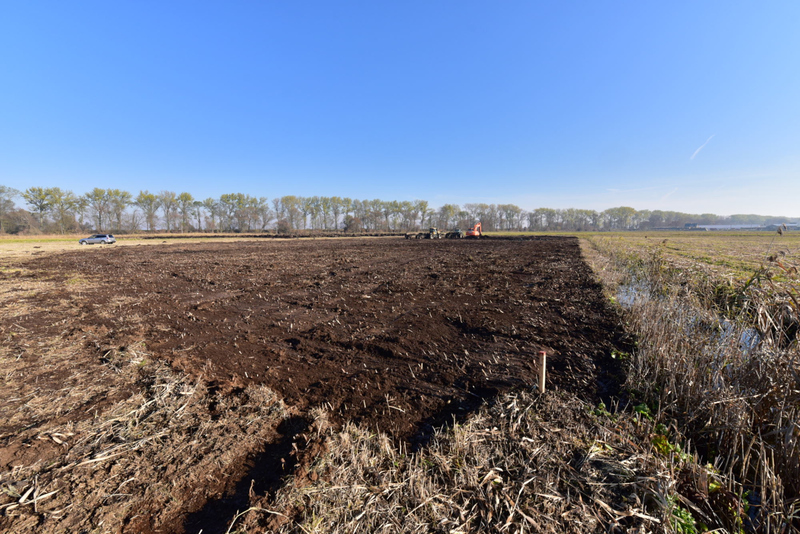 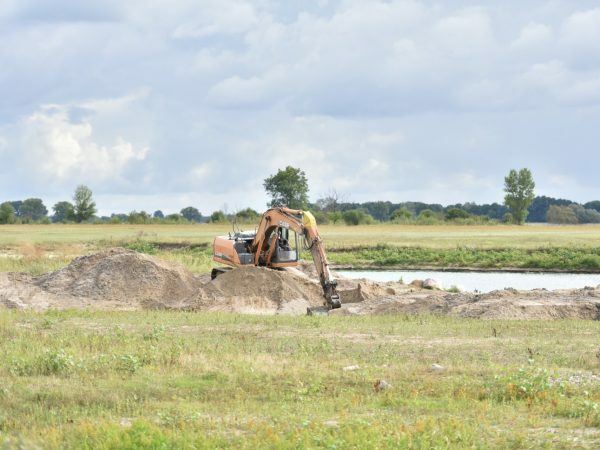 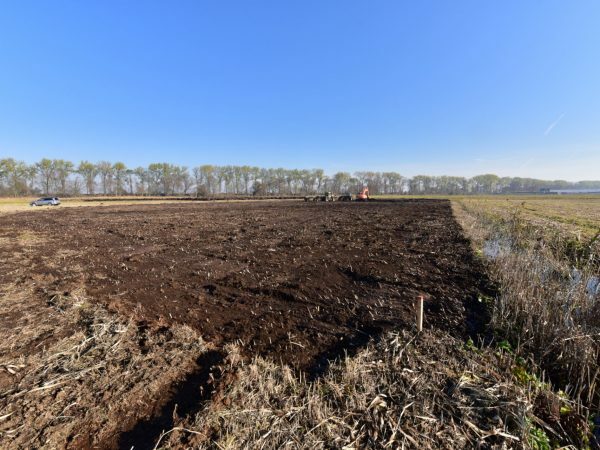 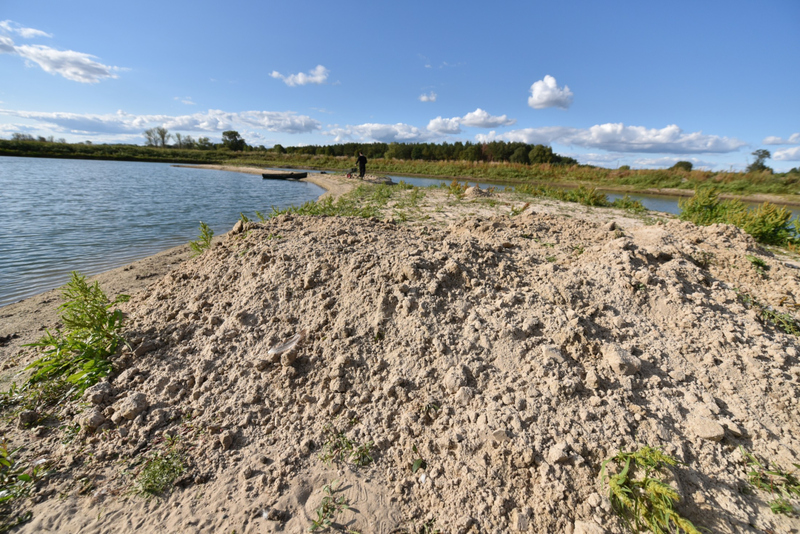 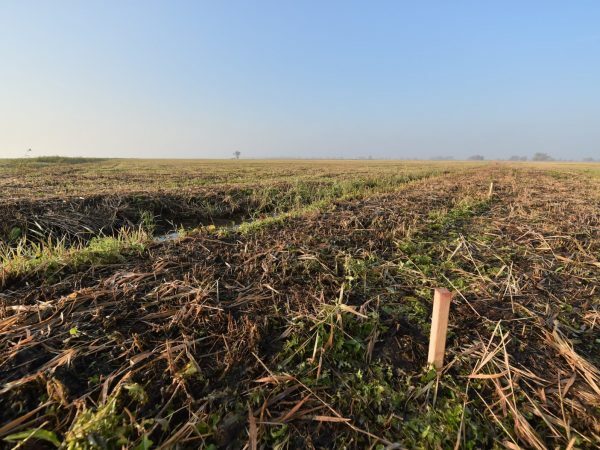 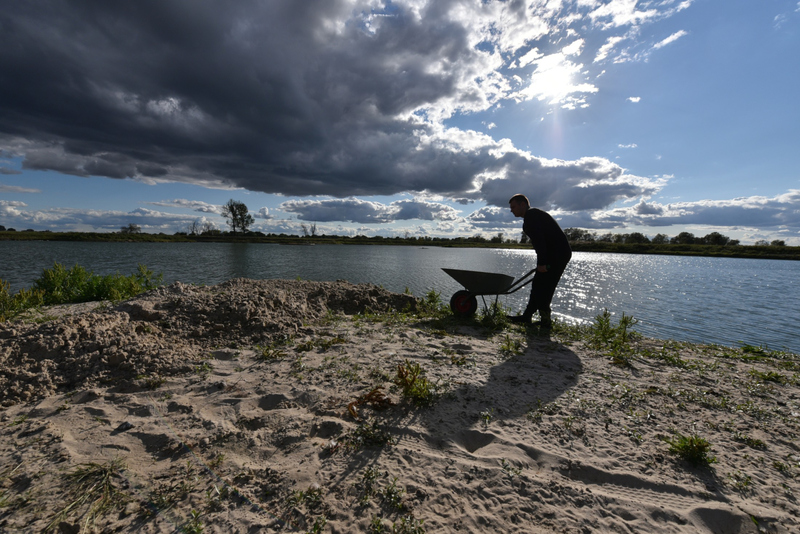 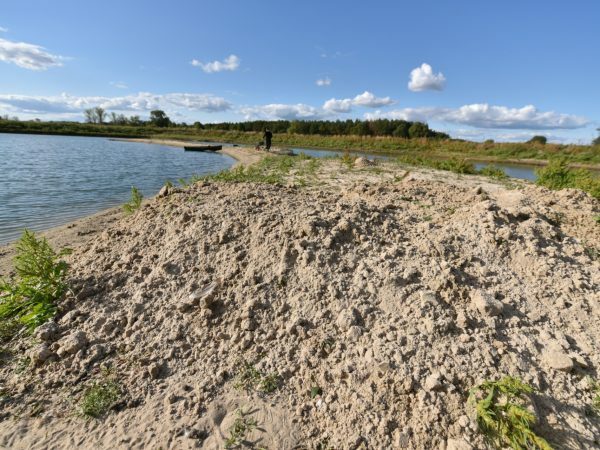 Apart from constructing the floating islands, we are also raising the importance of the reservoir by the ground works aimed at creating a convenient natural environment with suitable conditions. 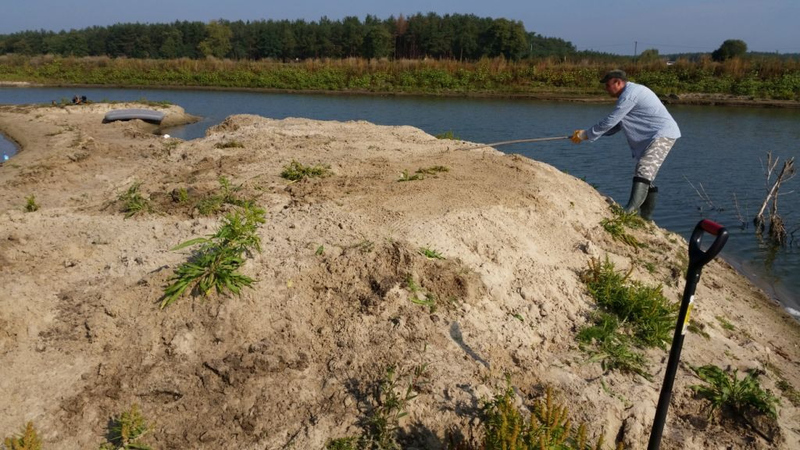 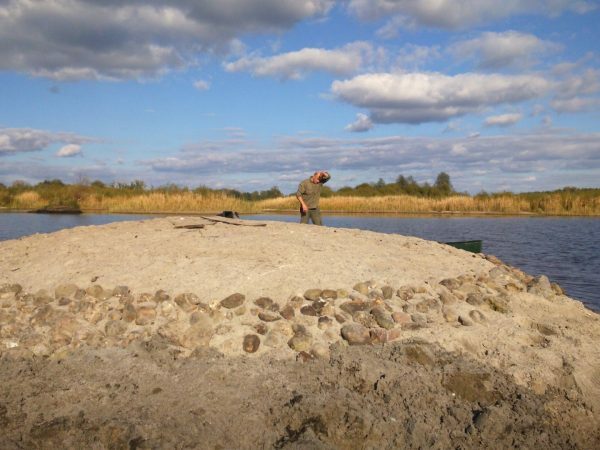 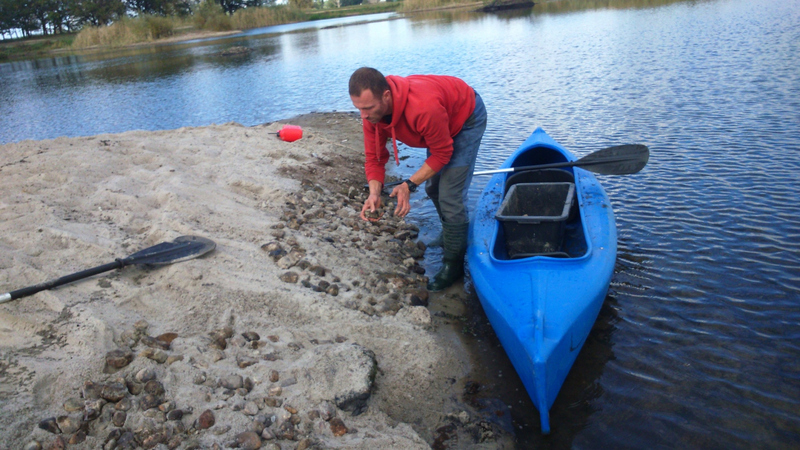 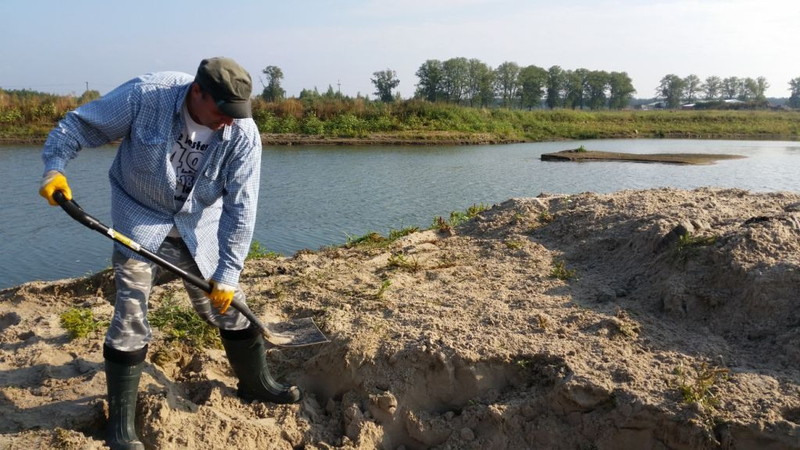 We are converting a spit into an island, additionally reinforcing its shoreline. 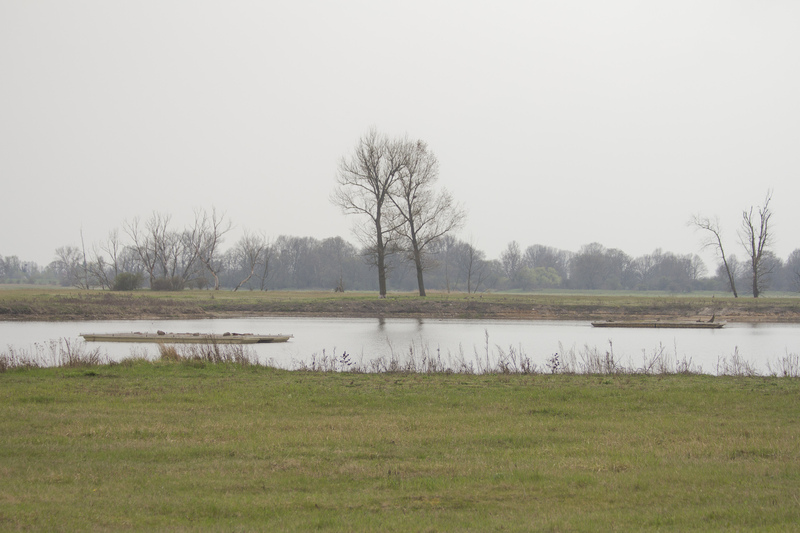 We are also “rising” already existing islands so they appear quicker when the water level drops in spring. 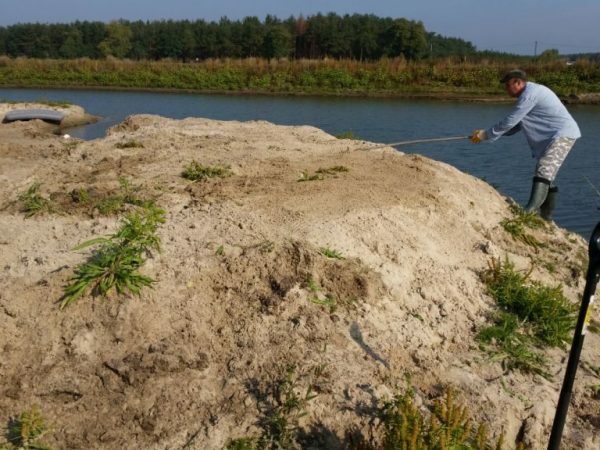 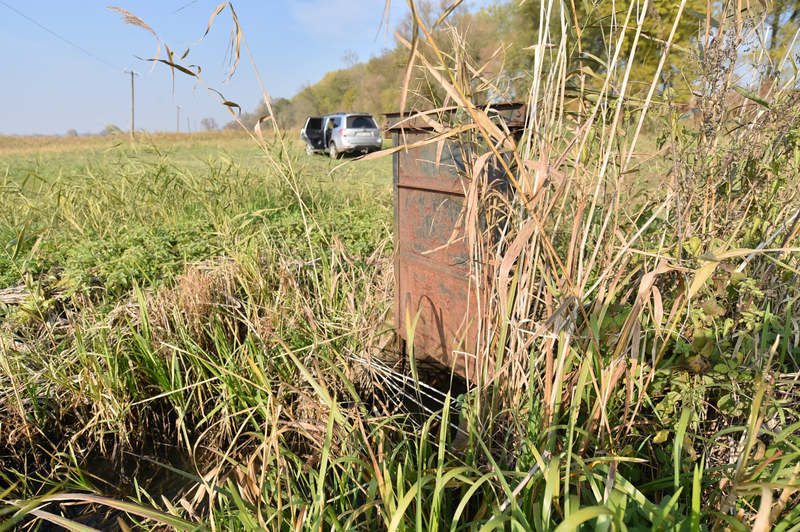 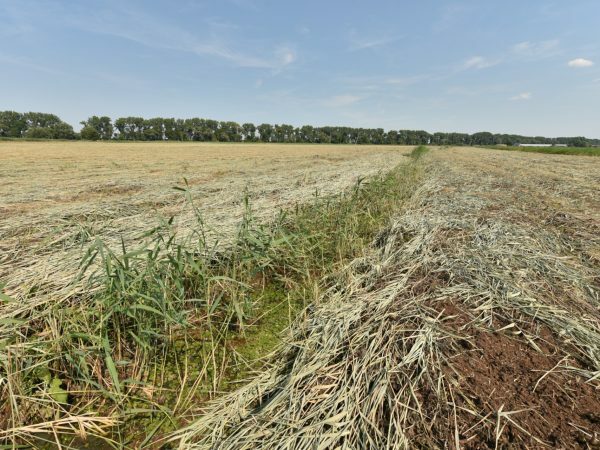 The photographs and movies were taken during the environmental monitoring as a part of realization of the project “Preservation of the biodiversity in the following areas: Natura 2000 “Dolna Odra” (PLB320003 and PLH320037) and “Ujście Warty” (PLC080001)” through creation of nesting sites for birds and protection of those nesting sites against invasive species” led by its directors – Piotr Chara and Grzegorz Sępłowicz.